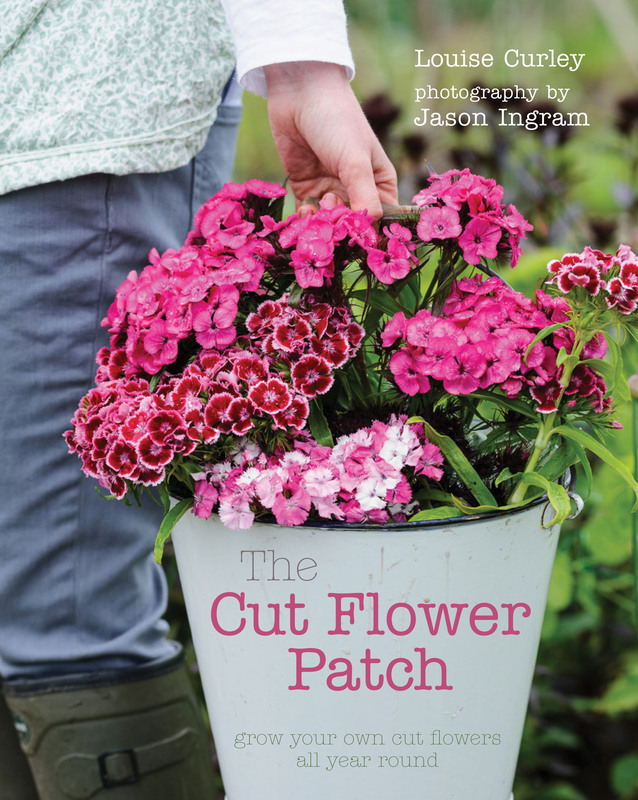 One of the most lovely and unexpected results of writing The Cut Flower Patch has been the people I have met as a result. 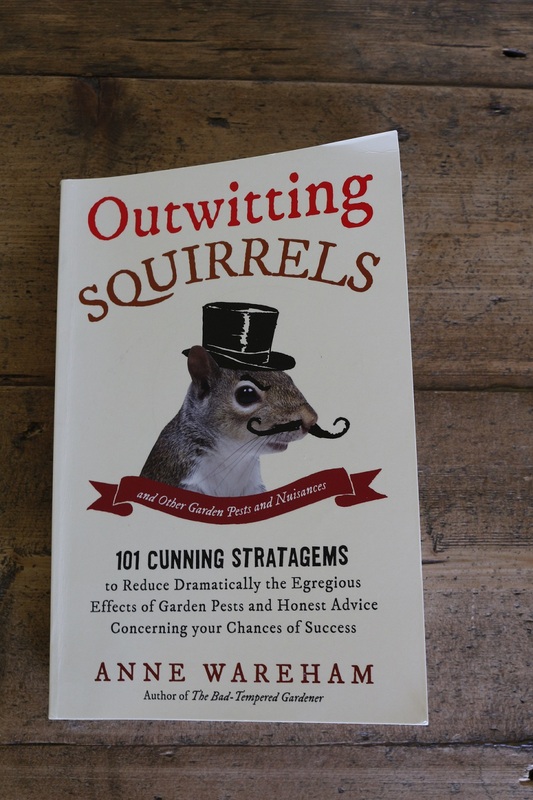 I had no idea when I started out on the whole process of creating a book that people would take the time and trouble to send me lovely emails once they had read it. 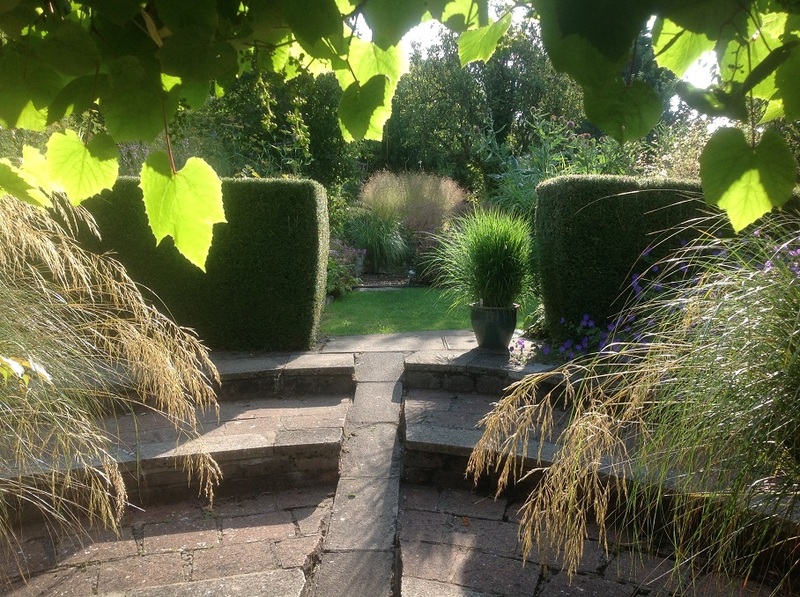 Last September one such email came from a lady saying she loved growing grasses too and would I like to visit her garden. 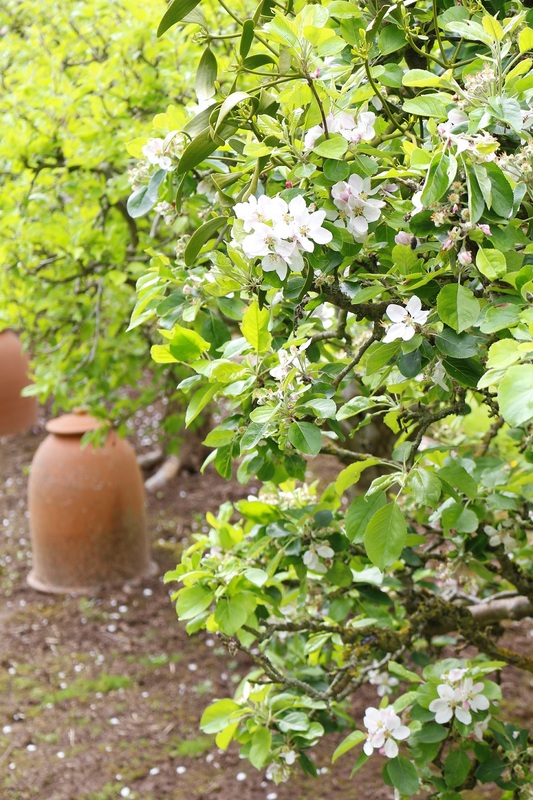 It turned out that Kate didn’t live too far away from me, in the stunning Wye Valley, so a few days later Wellyman and I found ourselves discovering the most fabulous garden, tucked away in the lush countryside of Gloucestershire. We arrived and found a note on the door telling us to find her in the back garden, along with a map and sheet of paper describing the garden. We found Kate, trowel in hand, weeding. I felt a little guilty when we left three hours later that we’d taken up valuable gardening time, but Kate was a delight to talk to – passionate, knowledgeable and generous with her time. 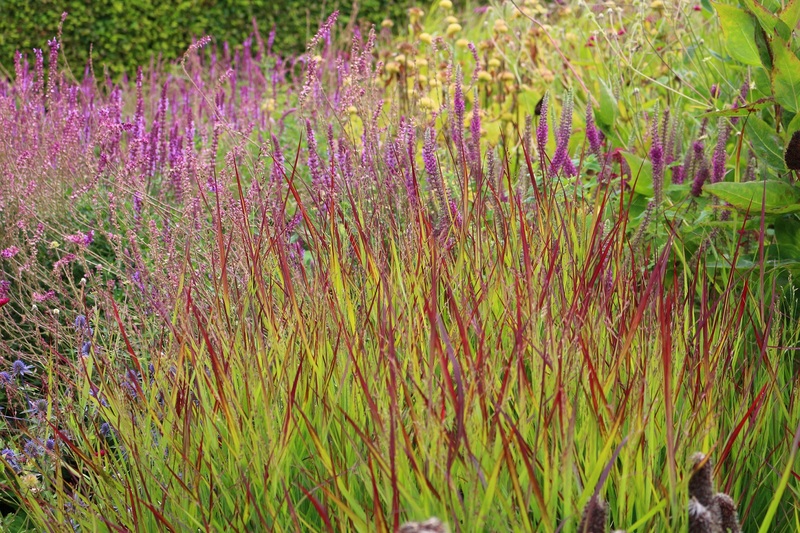 Now I’m partial to including grasses in my garden and quite a few pop up on the cut flower patch too, but I’m the first to admit my small number of grasses don’t really do the plants justice. 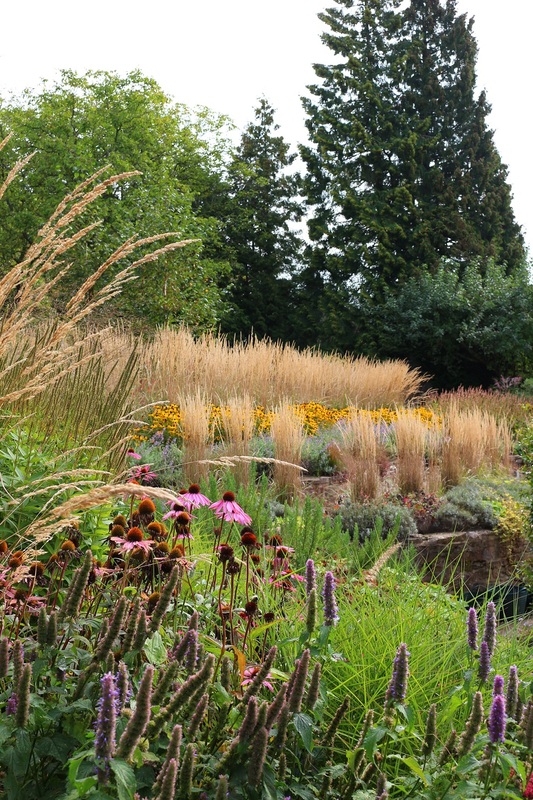 For true drama grasses need some space and to be planted in quantity and this is what Kate has done at the Barn House Garden where a variety of grasses have been planted en masse to create a bold and dramatic impact. I love grasses despite the fact that I’m allergic to their pollen. As Kate says, ‘isn’t a love of wild grasses/cornfields innate? 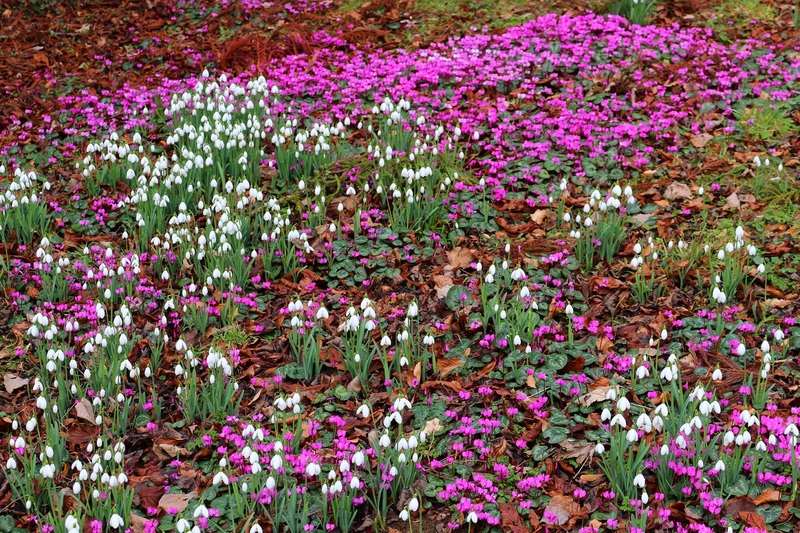 To me, grasses sing of woodland margins and meadows.’ I’m very much with her on this. 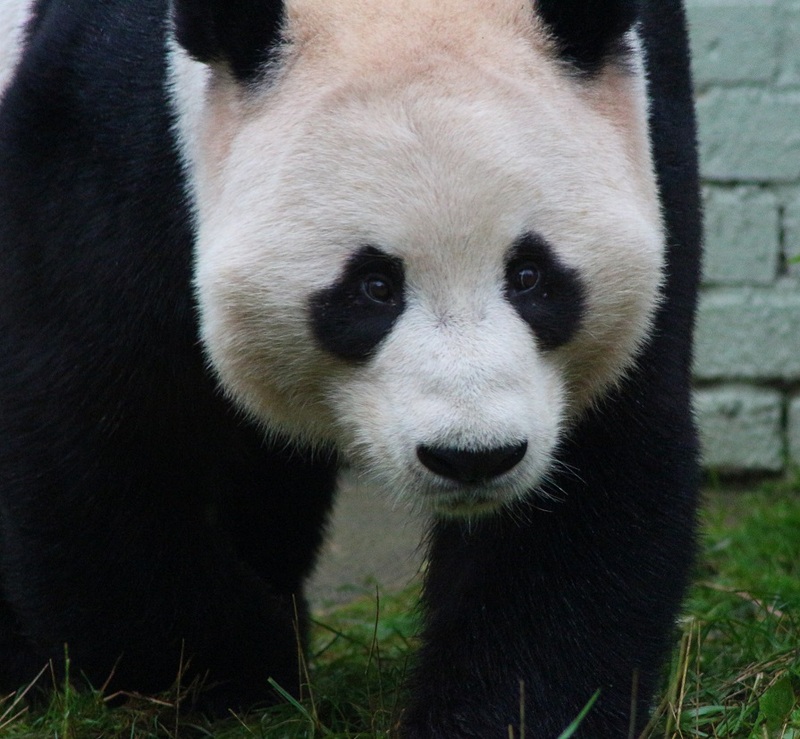 Her first experiences of growing grasses on an ornamental scale came when she lived near Kew Gardens where she was fascinated by their grassery and watched the Bamboo Grove being renovated. ‘These were lessons on how to tame the biggest grasses of all’, she says. 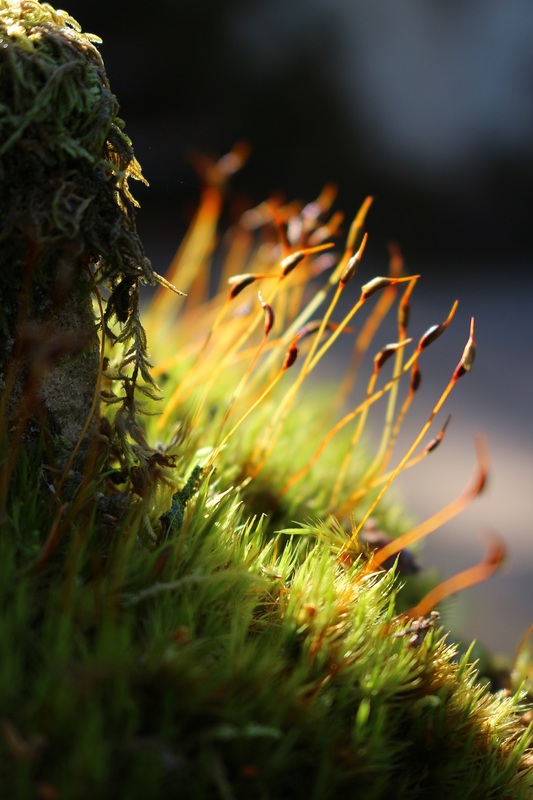 Kate’s love of grasses grew when she spent time in the Far East. ‘The best thing about Taiwan is the hilly walking country and the miscanthus grasses. Then there’s the miscanthus which lines the rail-side of the bullet train in Tokyo and the bamboos colonising hillsides in Thailand. We grew bamboo on balcony gardens in Bangkok (several) and then London (hundreds! ), to screen out unsightly views, noise, pollution’, Kate explains. After years on the move and then tending a small London plot. Kate and her husband Hitesh settled in the Wye Valley. ‘Never mind the nice house, we were looking for the right garden’, she says. They moved to the Barn House nine years ago and the house and garden have been transformed in that time. It’s been an epic undertaking. 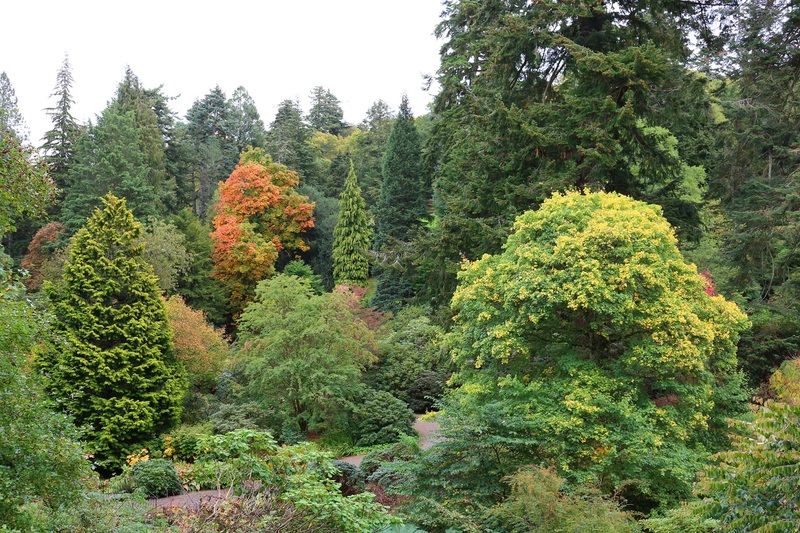 It took over five years to complete the landscaping of the main parts of the garden. Storm drainage has been installed, and to create level planting areas over 100 tonnes of red sandstone were removed. It’s incredible to think that what now looks like such an established garden is one where much of the planting is only three years old. 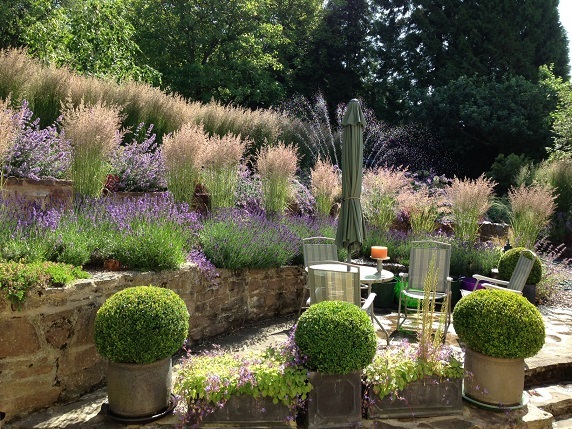 This was one of the reasons behind Kate’s choice of grasses to create the structure and interest in the planting scheme – grasses tend to be quick to produce a mature look to a garden. 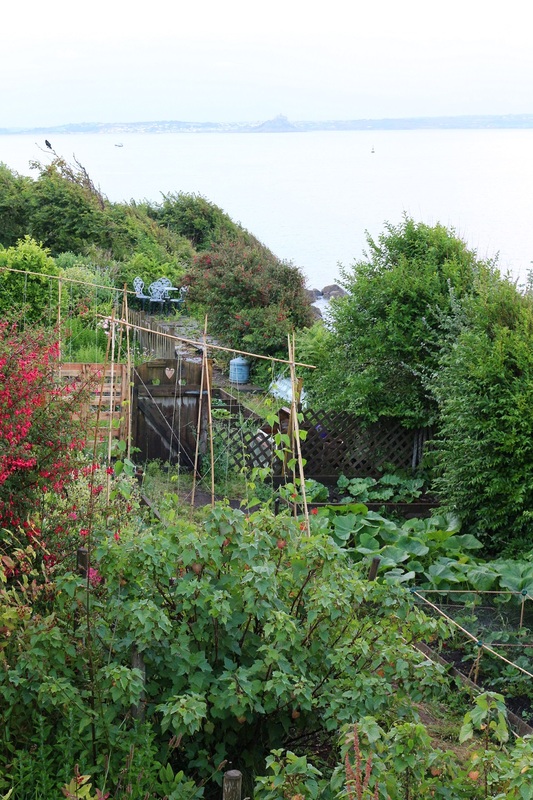 The back garden – an area which wraps around one side of the house – was tackled first. 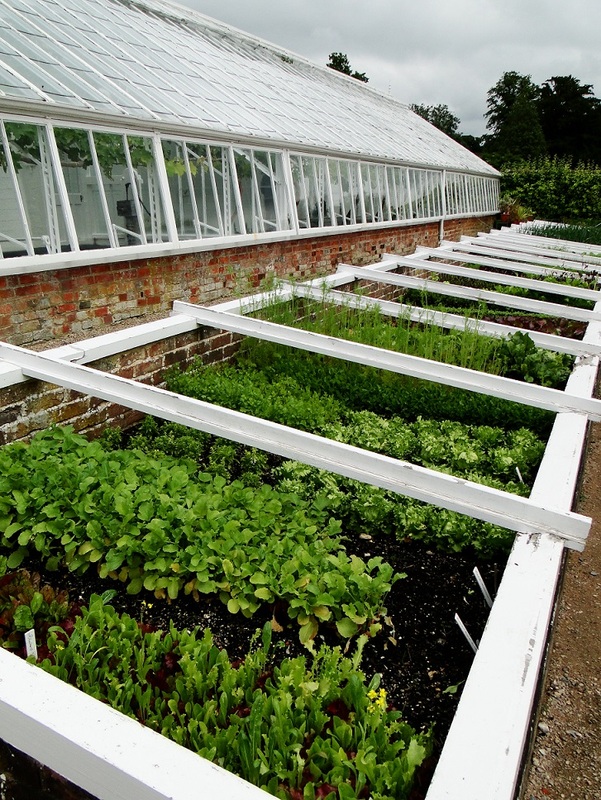 This gave Kate the chance to work out what they wanted from the rest of the garden. It’s a space which has an exotic feel to it, inspired by Kate and her husband’s time in the Far East. 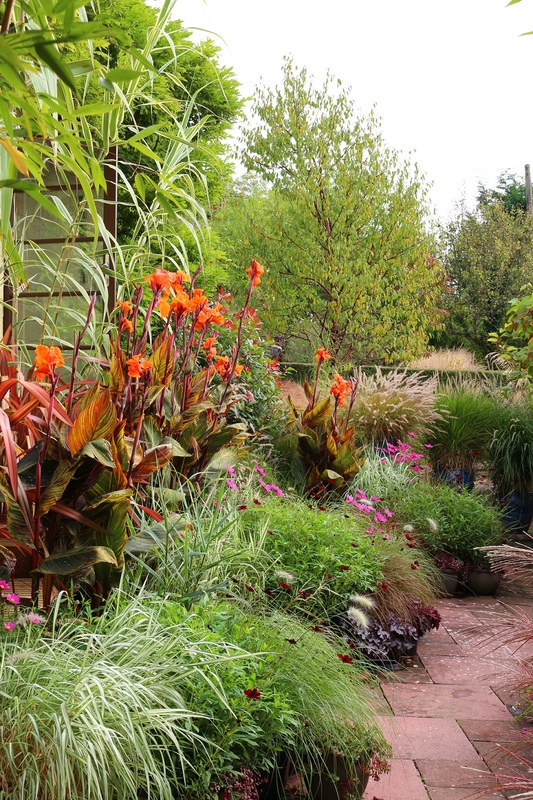 Towering bamboo and lush planting thrive with shots of vibrant colour from plants such as crocosmia and cannas. 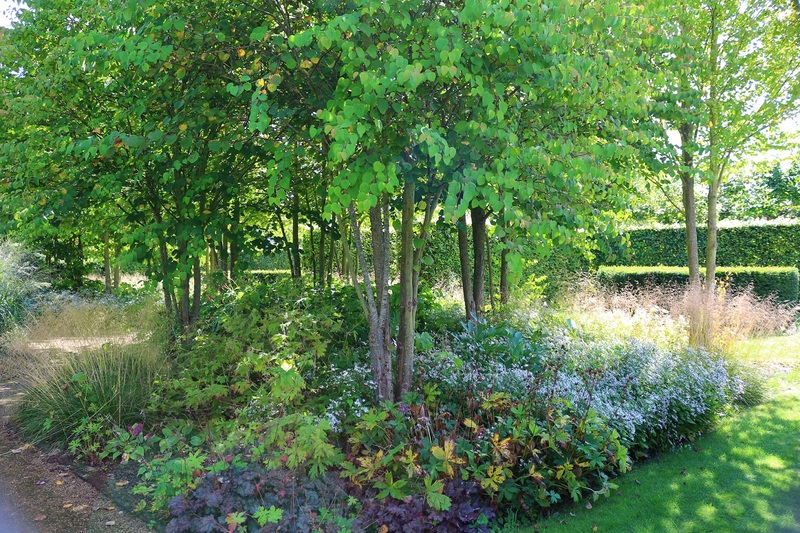 I love this sort of planting which envelops you and transports you to another place. One of my favourite spots was the terracing which leads down to the main aspect of the house and a seating area. 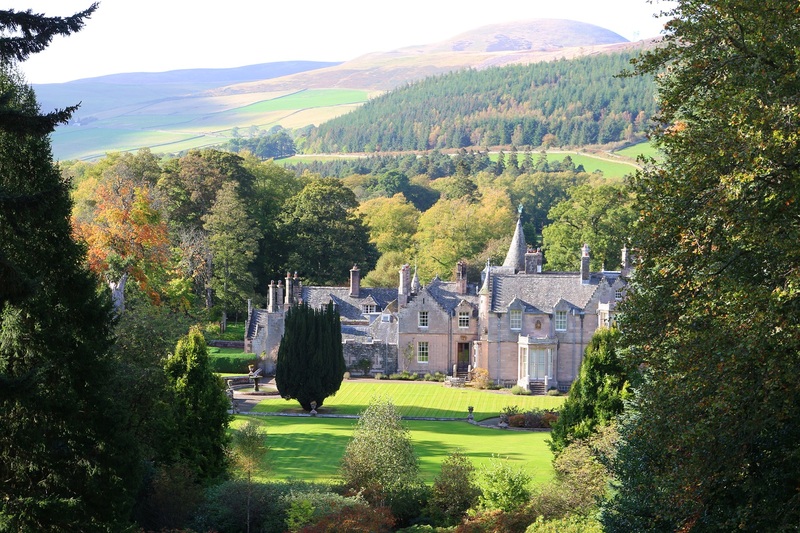 Using local red sandstone terraced beds were created allowing Kate to plant in what had previously been a rocky part of land with little soil depth. 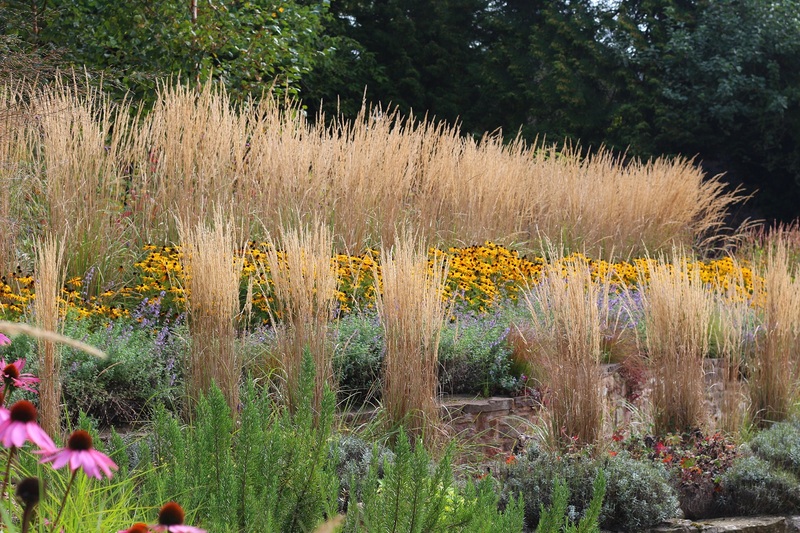 The grass Calamagrostis x acutiflora ‘Karl Foerster’ looks fabulous. 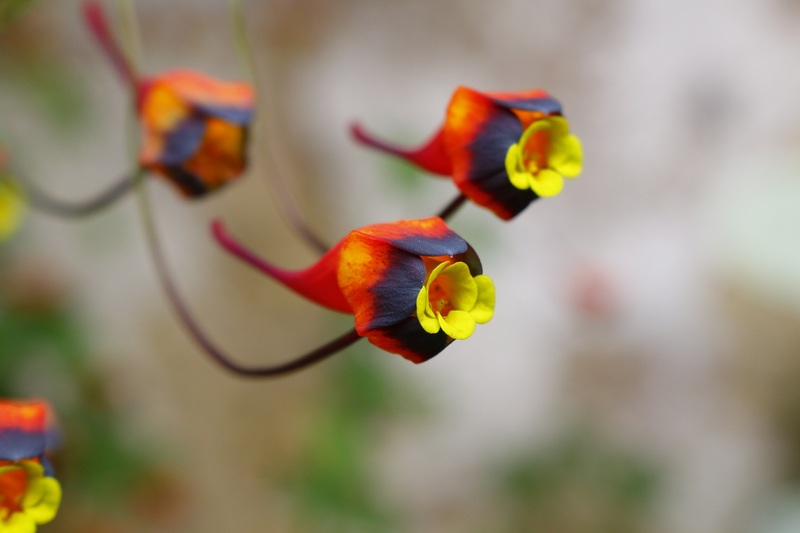 Planted in clumps along the terrace beds they look like rockets or fireworks shooting up towards the sky. 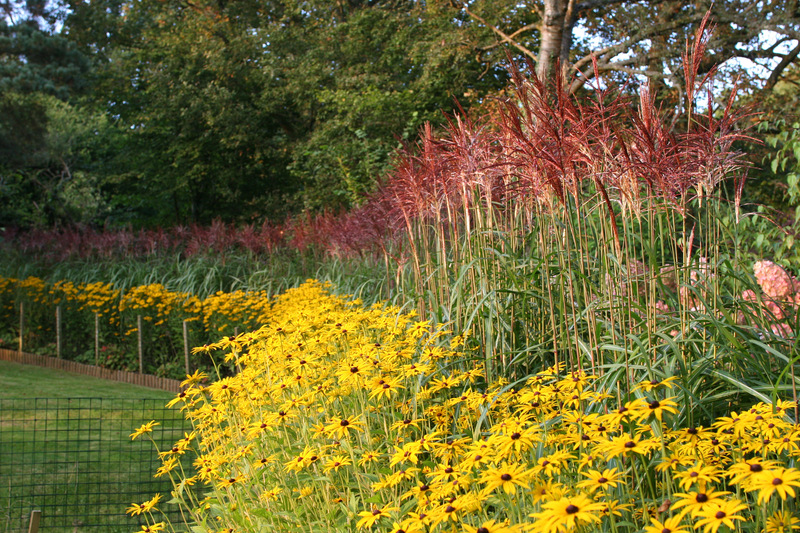 Kate has also used Miscanthus sinensis ‘Malepartus’ as a dramatic 70 metre long hedge and the smaller Miscanthus sinensis ‘Starlight’ to screen a seating area. Kate uses grasses in the way many of us use shrubs as a foil to other plants, most notably herbaceous perennials like rudbeckias, persicarias and veronicastrums. 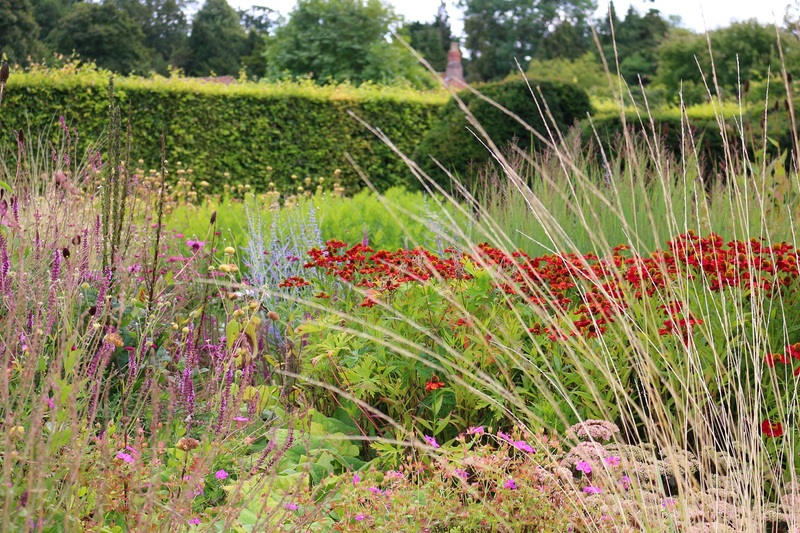 Most of us imagine a garden planted with grasses only has a short season of interest and that a garden based around grasses would be at its peak in September but these photos show how stunning Kate’s garden looked for her midsummer NGS open day last weekend. 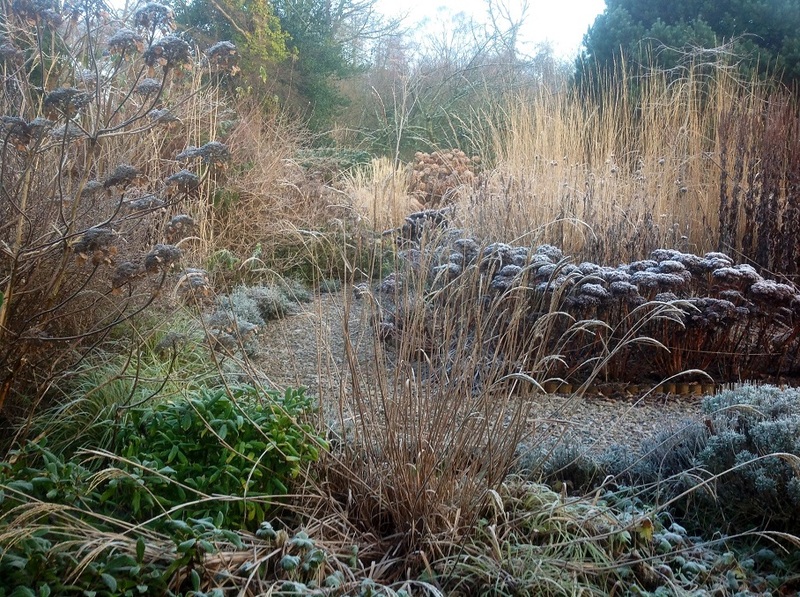 Kate has discovered that there are grasses which come into their own early in the year and has cleverly planted bulbs, evergreen grasses, multi-coloured cornus and beautiful specimen trees to provide year-round interest. 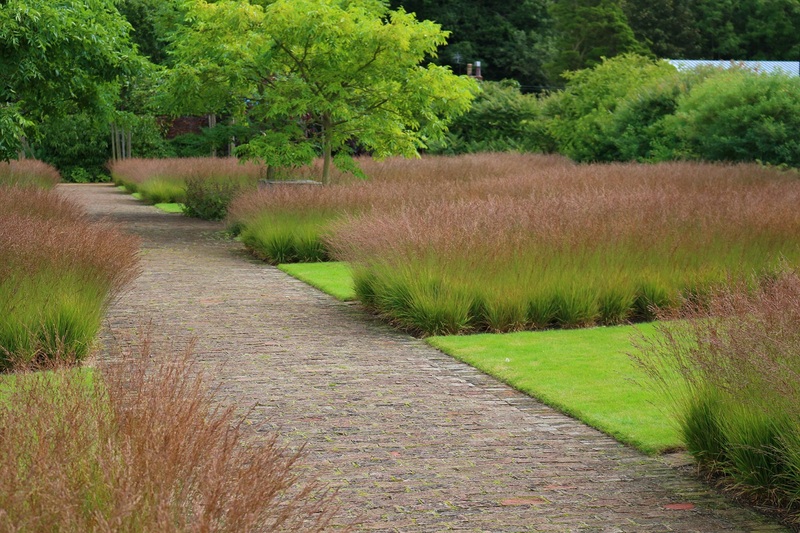 It’s not a surprise to discover Piet Oudolf has inspired Kate. 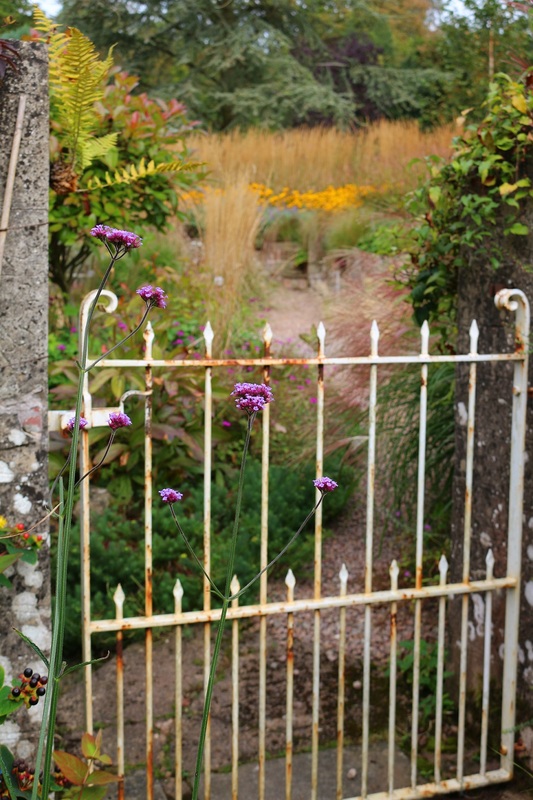 Noel Kingsbury, Anne Wareham’s garden Veddw, just down the valley and Roger Grounds, an early pioneer of using ornamental grasses, have influenced Kate’s ideas too. One of the joys of growing grasses is discovering how easy they are to propagate. Kate grows many of her own plants from seed. And her next project – a stylised meadow – has been planted with home-grown deschampsia and molinia interplanted with perennial flowers. I can’t wait to see this come to fruition. 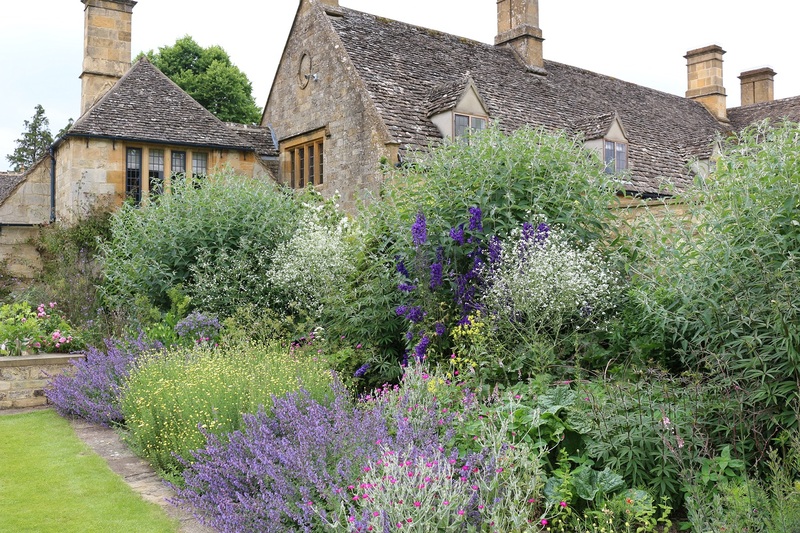 If you’d like to see Kate’s garden the Barn House Garden is open by appointment from June to September with money from the openings going to the NGS. 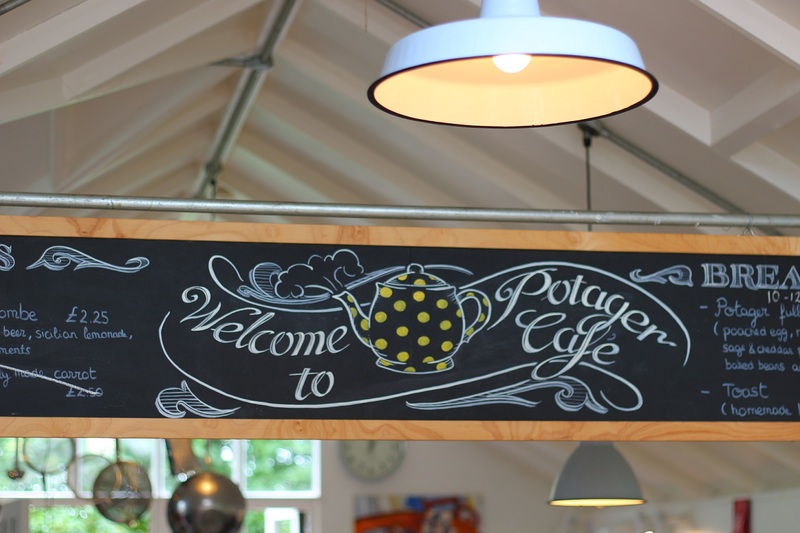 There’s no minimum group size and teas and plants are available to buy. 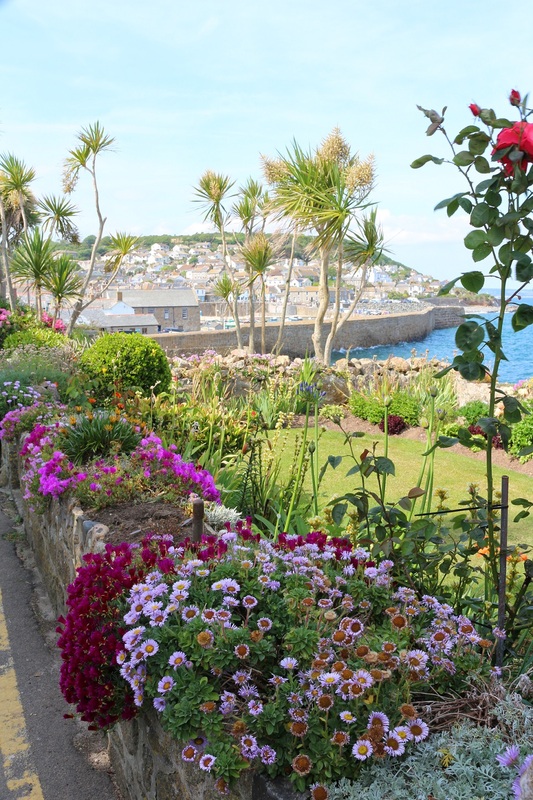 It’s a stunning part of Britain if you fancy combining a visit with a weekend away. (I’m not on commission from the tourist board!! I just feel very lucky to live in this beautiful, somewhat undiscovered part of the world.) For more details you can visit Kate’s website. 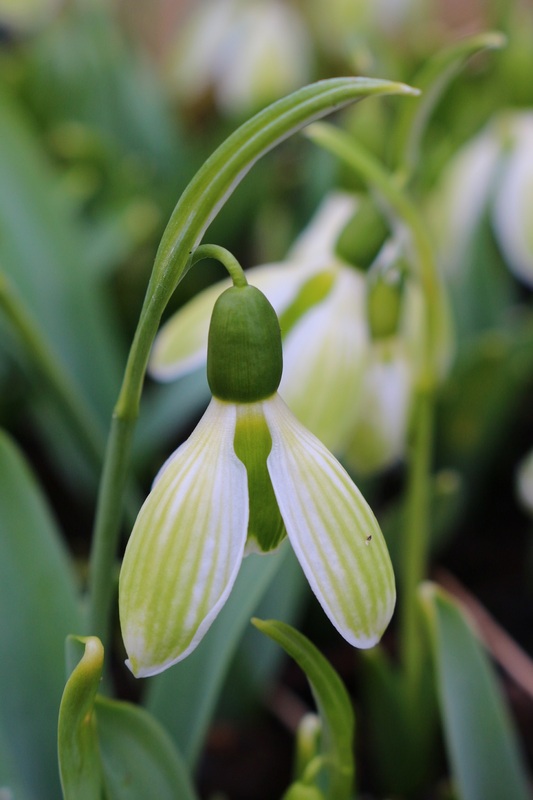 I can heartily recommend a visit to her website anyway as Kate is writing an online journal about growing and the changes to the garden, which makes a fascinating read and there are some gorgeous photos to drool over. Her next post, I’m reliably informed, is to be about the bamboos she saw growing alongside the Thai – Burma railway’s notorious Hellfire Pass & the incredible Australian Museum. And whilst you’re on her site have a look at the page about the history of the Barn House to discover more about this intriguing place. 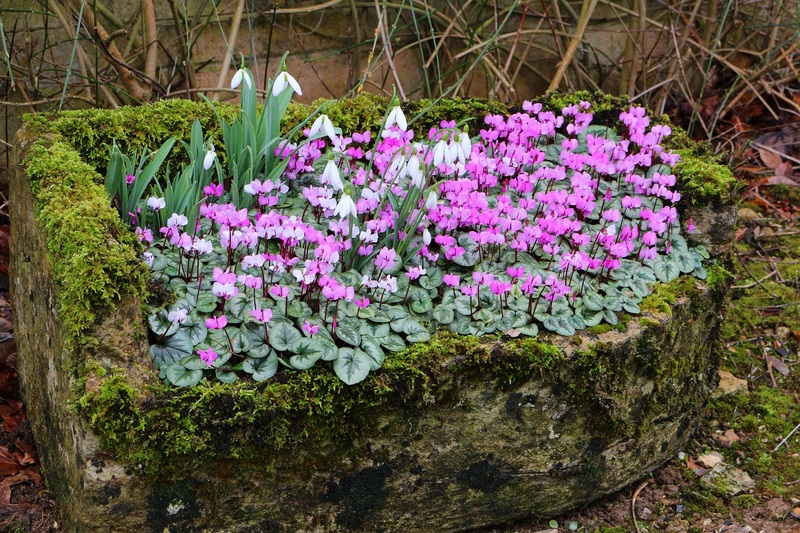 The Laskett is tucked away down a Herefordshire lane. We’ve driven past here before but we had no idea what lay behind the tall hedges of brambles and ivy, and it’s not what you would expect to find here among the rolling hills, orchards and pastures of such a rural county. 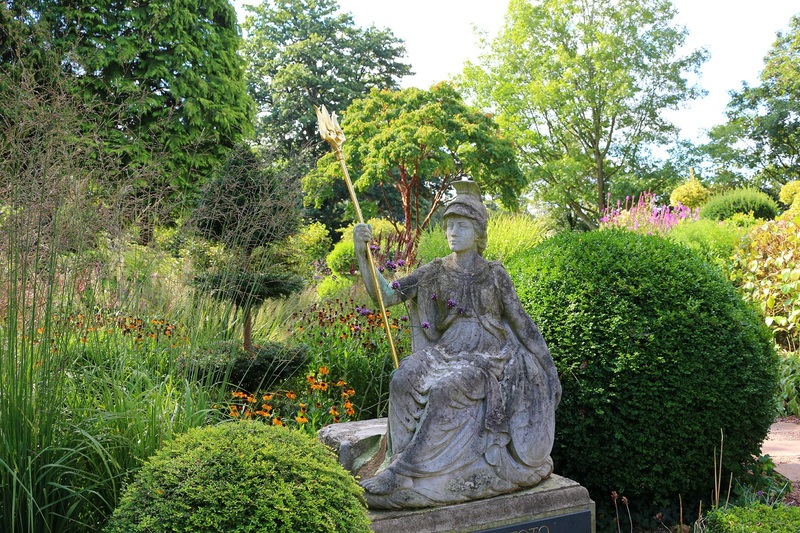 For thirty years the gardens at The Laskett were the creation of Sir Roy Strong and his late wife, Julia Trevelyan Oman. She was a celebrated set designer working for TV, film, opera and ballet, he is an author and one time director of the National Portrait Gallery and the Victoria and Albert Museum. 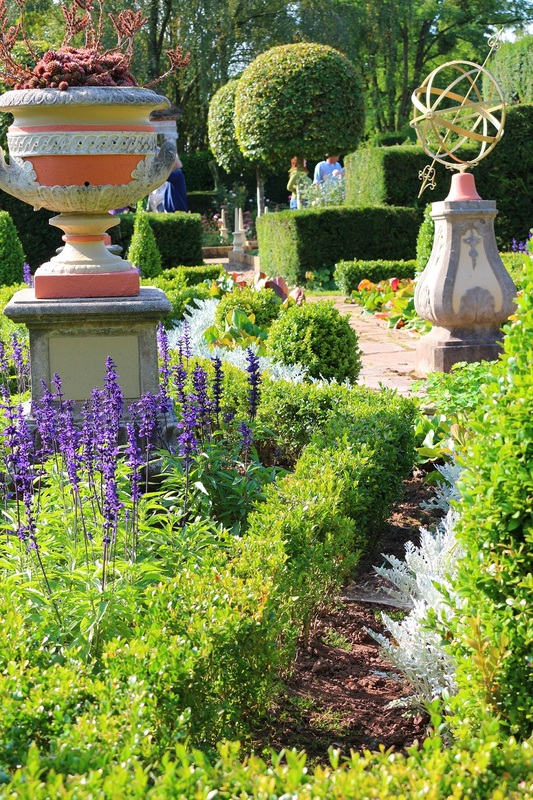 The Italianate gardens with nods to early English gardens and a theatrical theme running throughout were created from scratch, carved from simple bare fields surrounding the house. 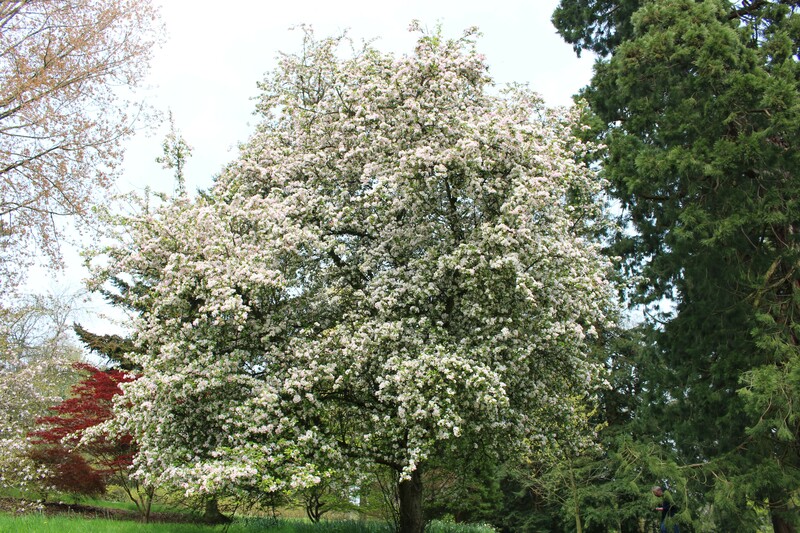 Julia died in 2003 and there was a period where the gardens remained untouched, but in recent years the gardens have been subject to a programme of renewal which is ongoing. 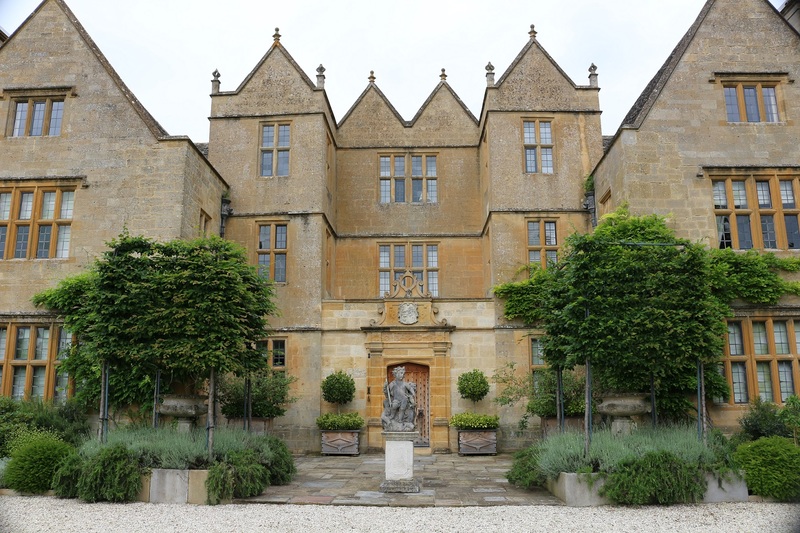 I had very little knowledge of the gardens, to be honest it came as a bit of a surprise when I came across The Laskett and realised that we lived so close by. Generally you can only visit as part of a group but a few weekends ago the gardens were open as part of the National Gardens Scheme. I deliberately didn’t read anything about the garden before we went. I wanted to go there without preconceptions or expectations. I’d caught a glimpse or two from the website when checking the location, so had an idea that it would be theatrical, but other than that it would be a surprise and hopefully a pleasant one. 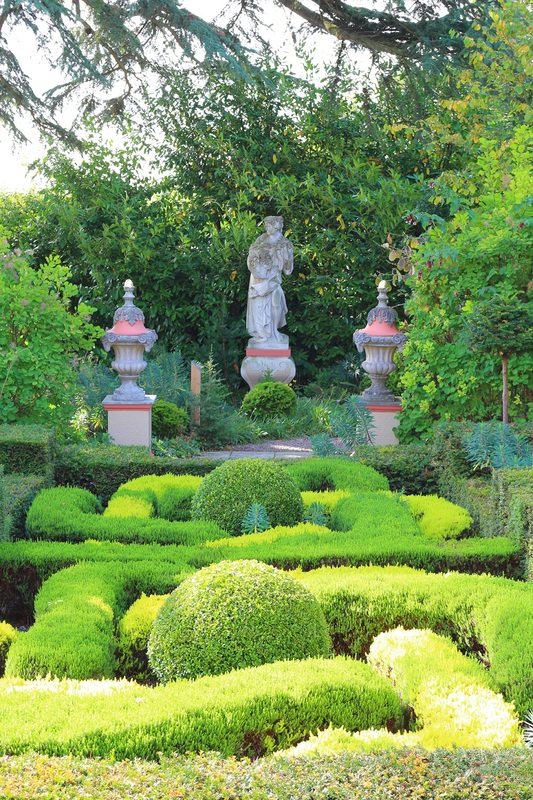 Coming across a formal garden, statuary and topiary isn’t unusual in rural parts but they tend to come with a grand entrance and an even grander house. Both of these features set the scene and expectations. The Laskett has the surprise element because it lacks this grandness. That isn’t meant as a criticism, in fact in my opinion it’s a plus. It’s the sort of setting where you would expect to find a cottage garden wrapped around the house, instead I felt as if I had been transported to a villa outside Rome, which was the real joy of this garden. 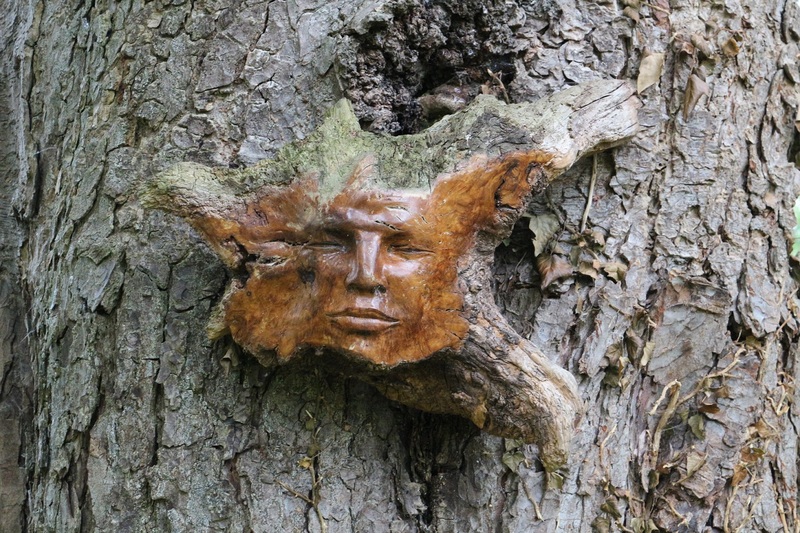 The early autumn sunshine helped somewhat but it was easy to forget I was in Herefordshire. There were follies, temples, statues and vast urns but it takes much more than a few urns and statues to convince someone they’re in Italy. 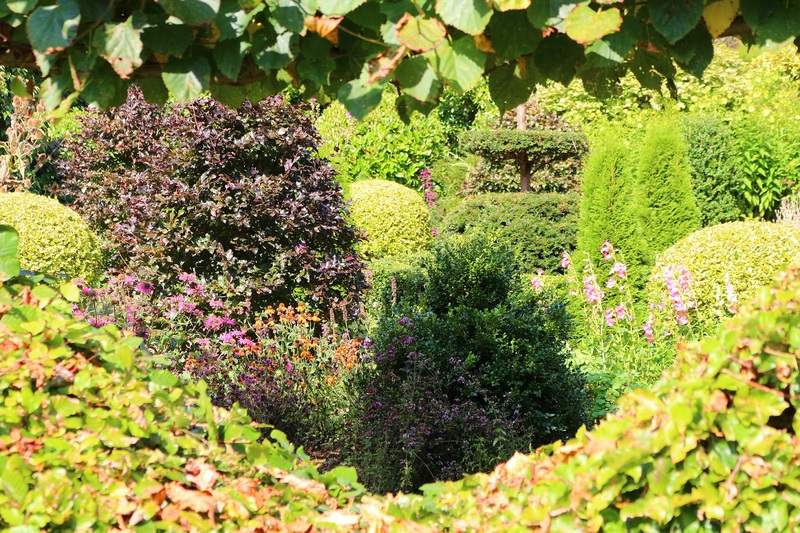 This is a garden that has been made by people with a great eye for detail but also for the bigger picture. 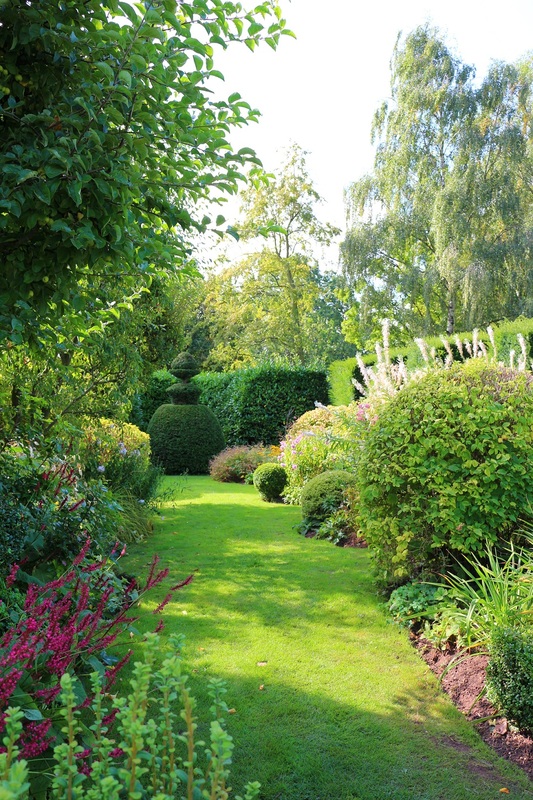 The vistas which have been created by the paths and hedges dividing the garden have created living set designs. It’s very easy to see how Julia’s work on large productions for ballets and operas have translated into the creation of The Laskett. It makes for an incredibly photogenic garden and a very pleasing space to spend time. 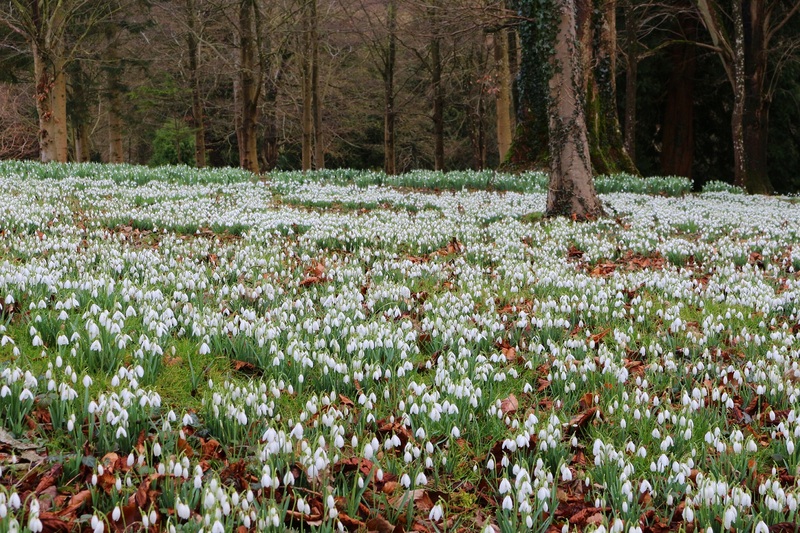 Initially, I was bit underwhelmed when we first entered the garden. The path takes you into an area in front of the house with a topiary knot garden which, although perfectly fine, just didn’t have a great deal of impact for me. Off to one side of the house was an area under reconstruction. I’ll admit that ten minutes or so into the visit I was wondering if this was it but then we followed the path around the side of the house and that’s when the element of surprise really hits. 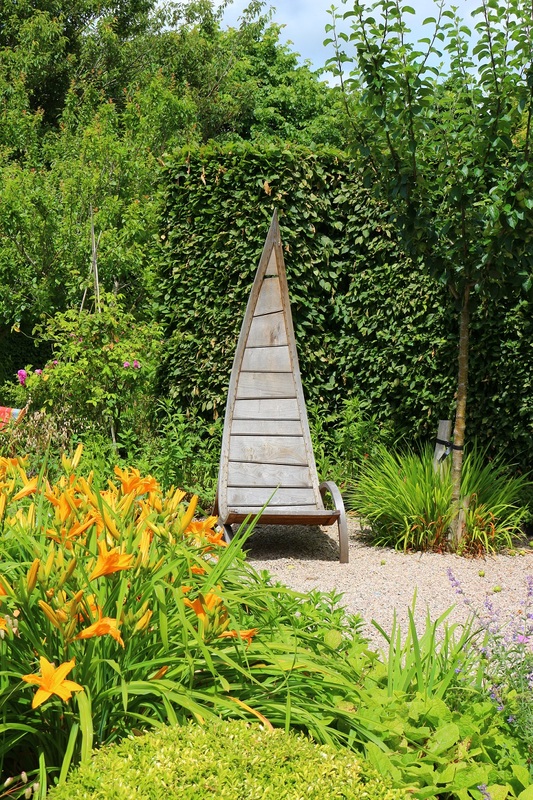 If a garden is about expressing the personality and passions of the owner/s then The Laskett certainly does that. 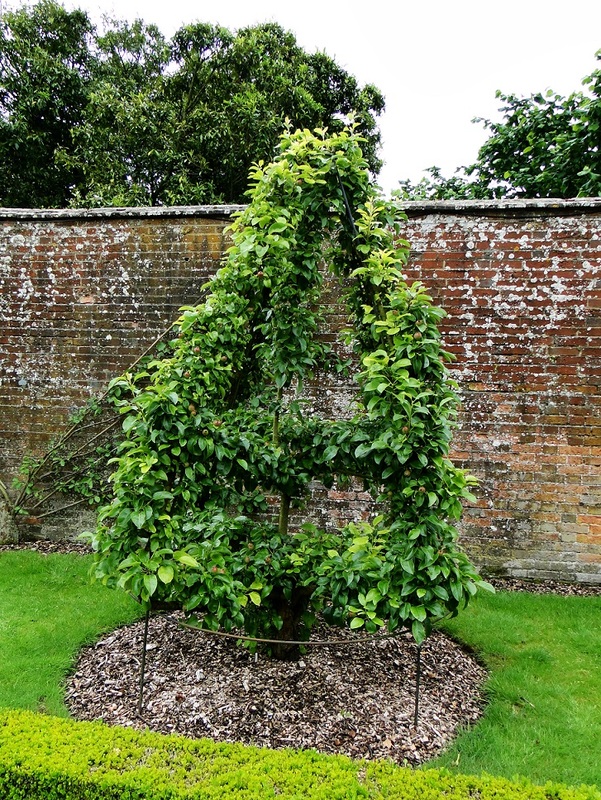 Many of the structures and plants commemorate people and periods in the lives of both Roy and Julia – there’s an arbour for Sir Frederick Ashton, a choreographer for the Royal Ballet for whom Julia designed sets and a sundial from Sir Cecil Beaton’s garden, marking their friendship. 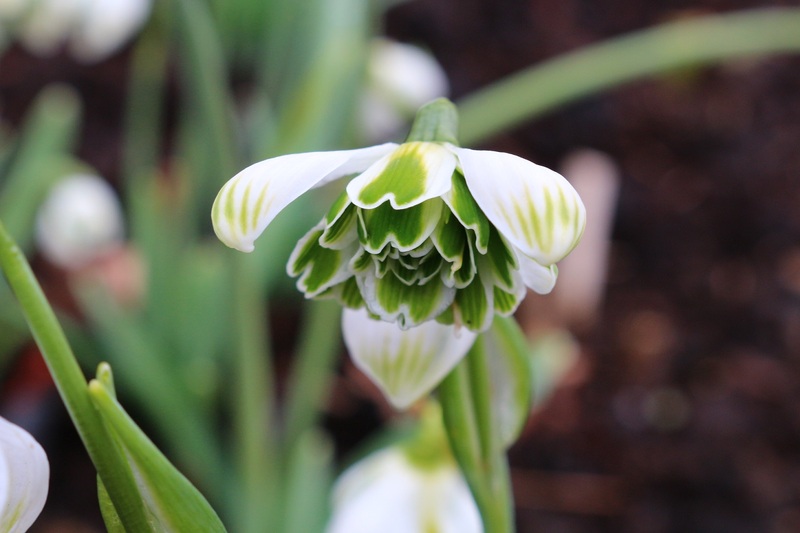 Most of us can’t name drop knights of the realm but it’s easy to relate to wanting our gardens to reflect our lives, particularly if we’ve lived somewhere for a long time. 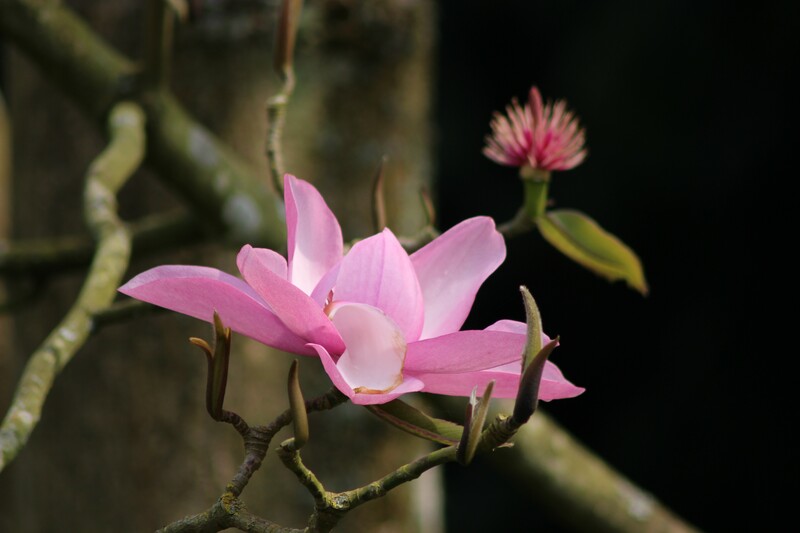 Reading about the garden afterwards I discovered that certain plants around the gardens held special memories. 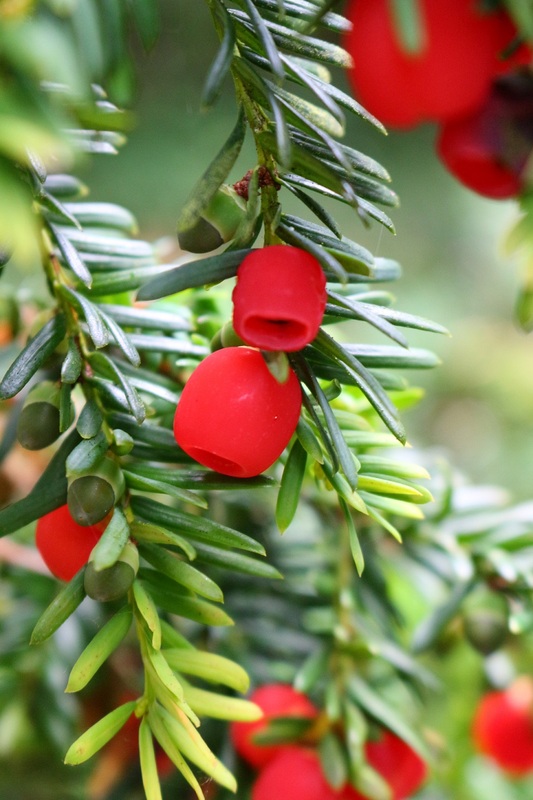 There is a quince tree which grew from a cutting taken from a tree growing in Julia’s grandfather’s garden; rosemary, which could be found dotted about the garden had strong family connections too. 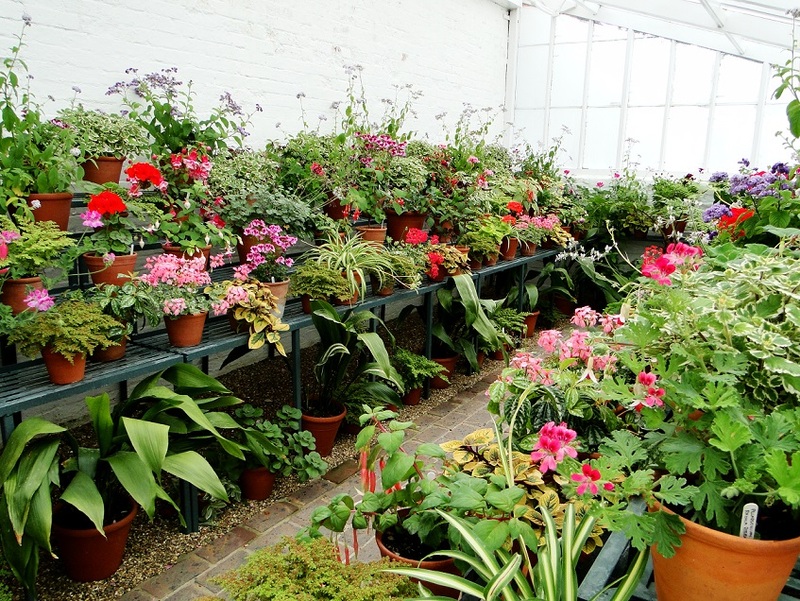 I think most of us have plants in our gardens which we’ve inherited or been given as a present. For me gardens designed by a designer for a client so often feel a little sterile because they lack these personal connections and touches. 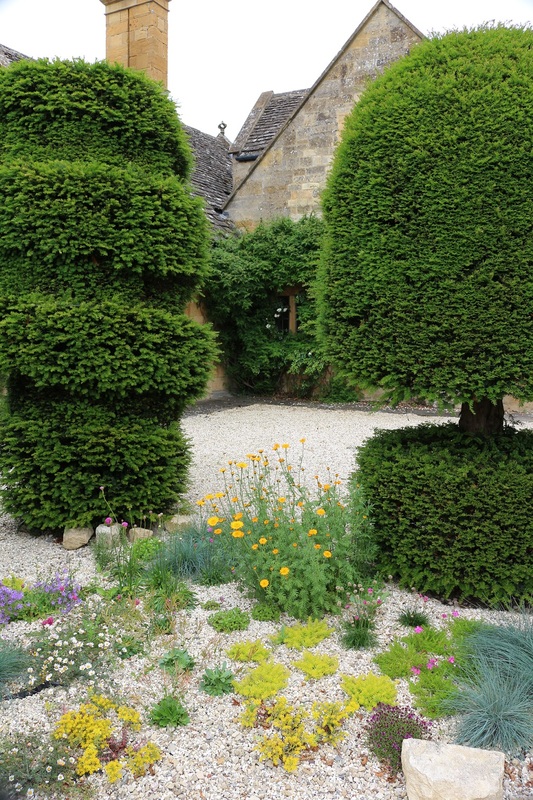 The structural planting of pruned yew, box and beech form the backbone of the garden. 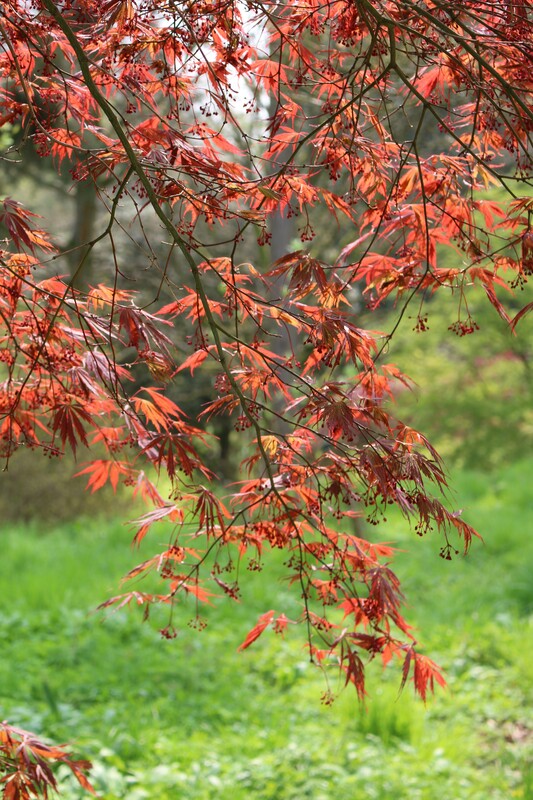 There are some fabulous specimen trees including an Acer griseum whose copper-coloured peeling bark glowed in the early autumn light. 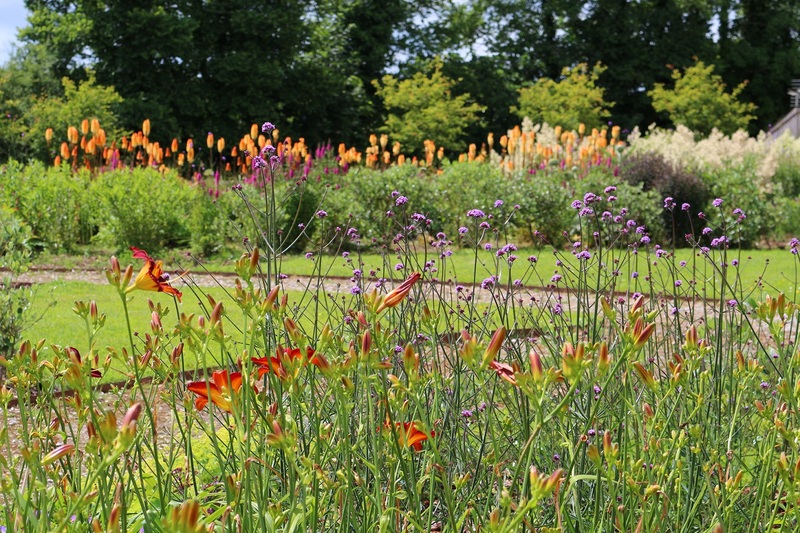 The majority of the planting comprises shrubs and seasonal highlights. 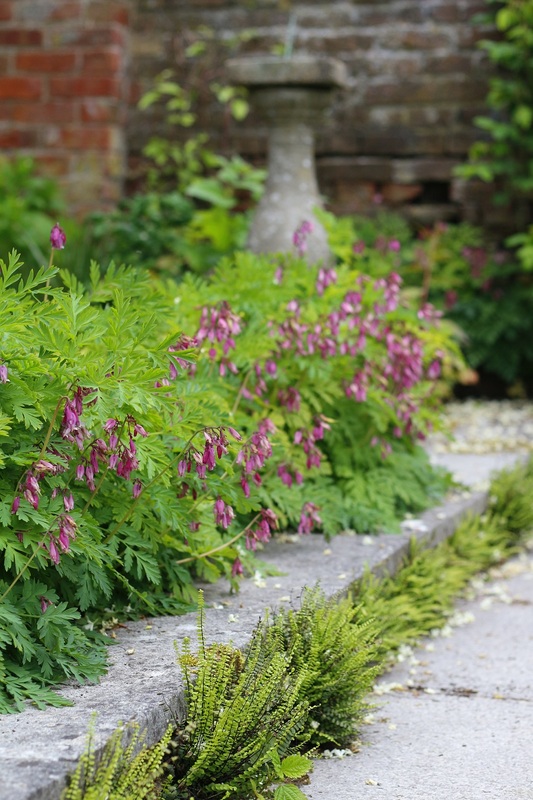 It’s quite traditional in many ways and follows the Italian style of planting which relies on structure rather than colourful plants. 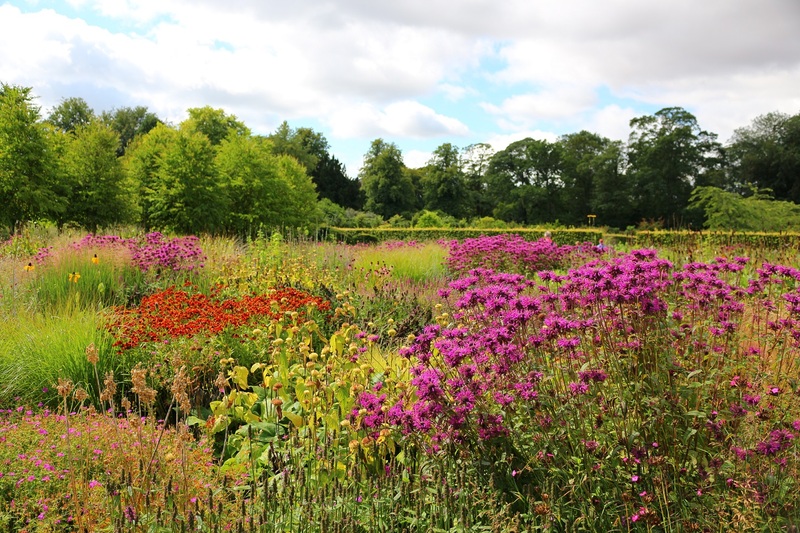 Changes can be seen though – the new border was a riot of colour in early September with prairie-style plants in full bloom. If you described a garden to someone as set in rural Herefordshire but designed on Italianate principles, which had a ‘Triumphal Arch’, a colonaded temple to provide shelter when having tea and cake and a life size stag statue with gilded antlers they would be forgiven for thinking it would be like a theme park. The Laskett isn’t. 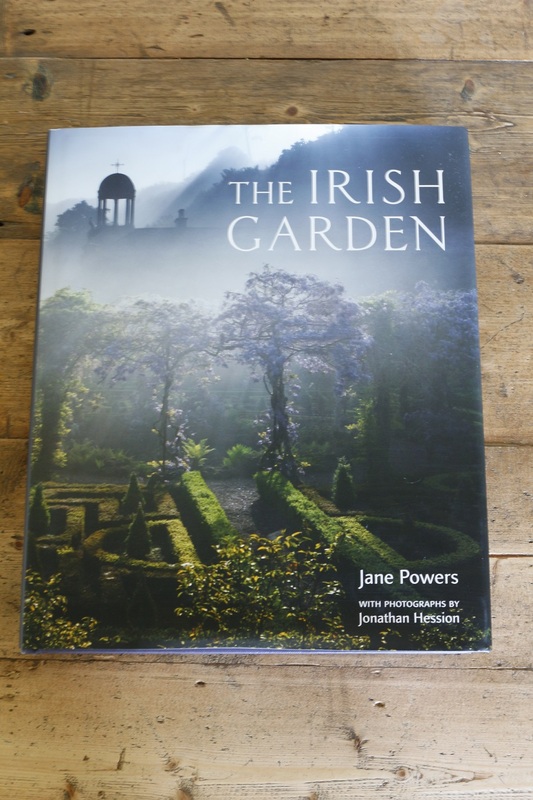 It’s somewhere that feels like a genuine expression of the lives of two people who had an immense passion for the place, a garden which has been created with love and which has given immense pleasure in return. According to research published over the last few years daydreaming is good for us. Drifting off into space used to be frowned upon, think of the classic scenario of the child being shouted at by their teacher for staring out of the classroom window when he/she should be answering some question on algebra. 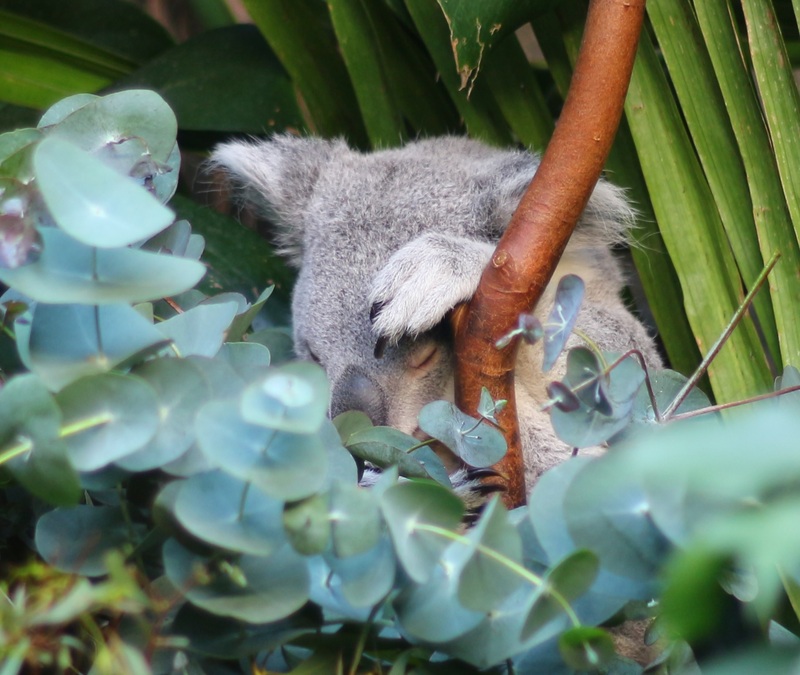 And, just as night-time dreams allow our subconscious to filter the information our brains have been exposed to during the day, it appears that daydreaming can also play an important role in learning and creativity. But, opportunities for reverie are becoming harder to find now, every waking moment is filled with some electronic device making demands on our attention. Bus or train journeys in particular used to allow for a spot of daydreaming, staring out as the world passed by. Now look around on you on one of these trips and everyone has their heads bent, eyes glued to screens of varying sizes and fingers silently sweeping by the information at their tips. Does anyone daydream any more? Well I do, admittedly this has something to do with living in a rural IT black-spot. Forget 4G, 3G would be a start. Instead of tweeting whilst I’m on a bus or train I find myself lost in my own world. Inevitably these are thoughts about work and life in general – maybe that’s why we’re all so keen to distract ourselves with Twitter, it’s more appealing than having to think about those decisions we need to make once we’re grown-ups. 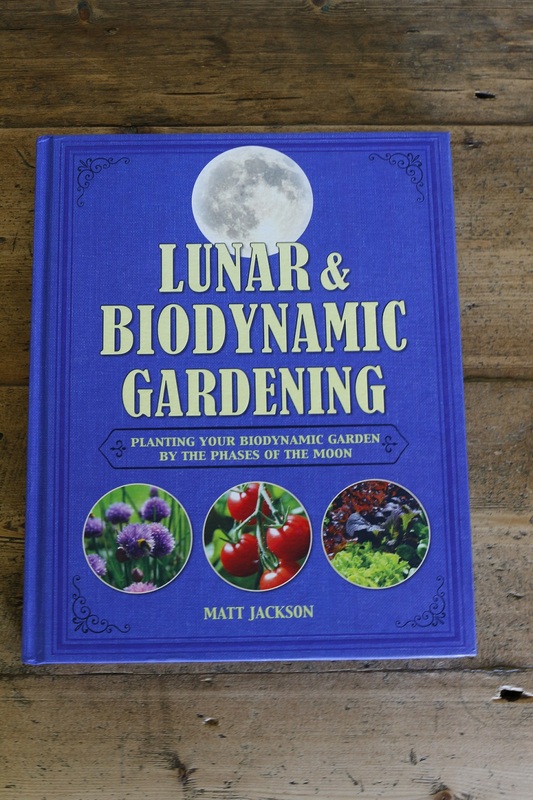 But, and here’s the good bit, quite a lot of the time I daydream about gardening. Stanton Court is a garden I would describe as a daydream garden. 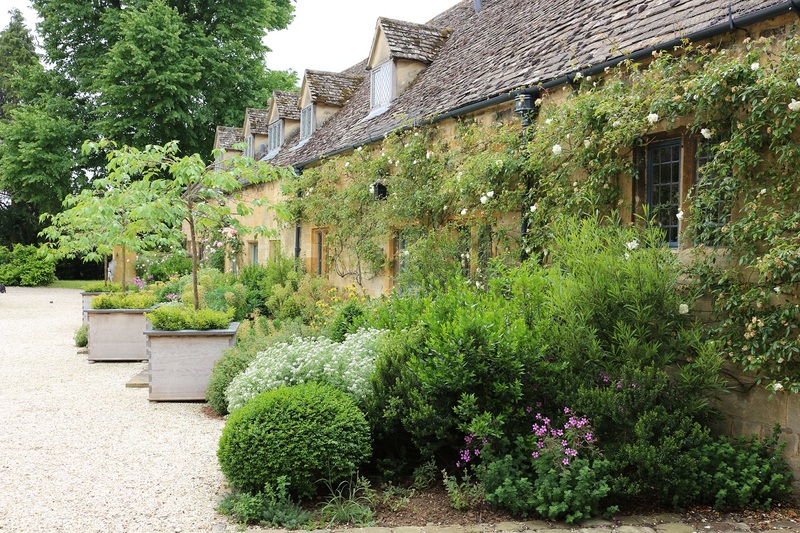 We visited it the other weekend where it was one of twenty private gardens in the Cotswold village of Stanton that had opened to raise money for charity through the NGS. 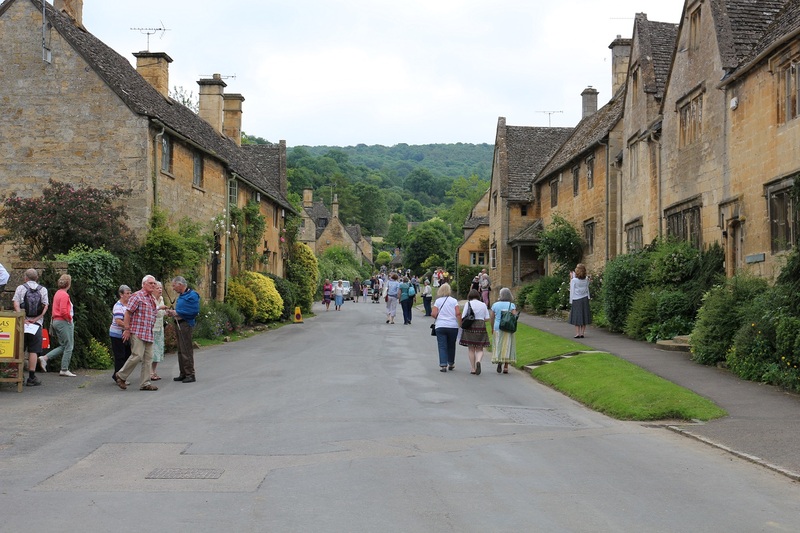 Stanton is a quintessential English village but what was really remarkable was the lack of encroachment of modern life. Looking out over the High Street from the viewpoint of one of the gardens it was striking how uncluttered it all was – no signs, no road markings, no telephone or electricity cables. 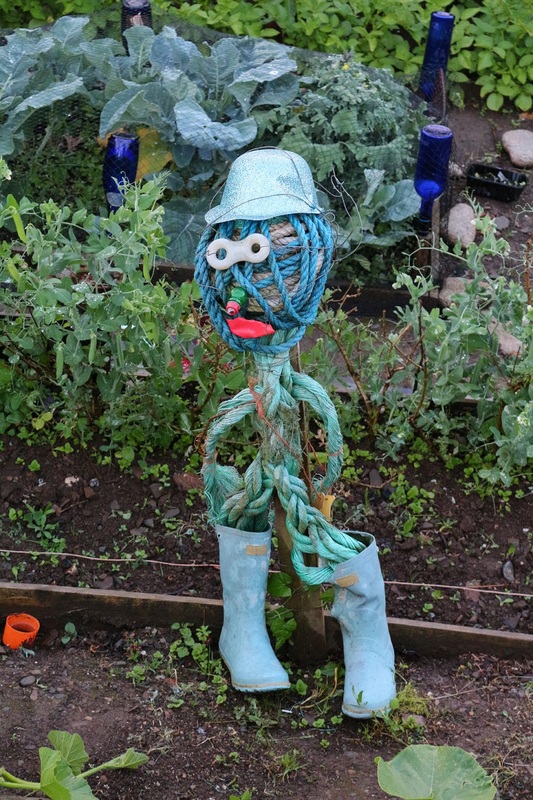 I thought twenty gardens in just over three hours was a little on the ambitious side so was planning to select a few must-sees, Wellyman however saw it as a challenge. We did end up seeing all twenty and went back to one of them for a second viewing but there was a touch of garden fatigue by the end of the day. 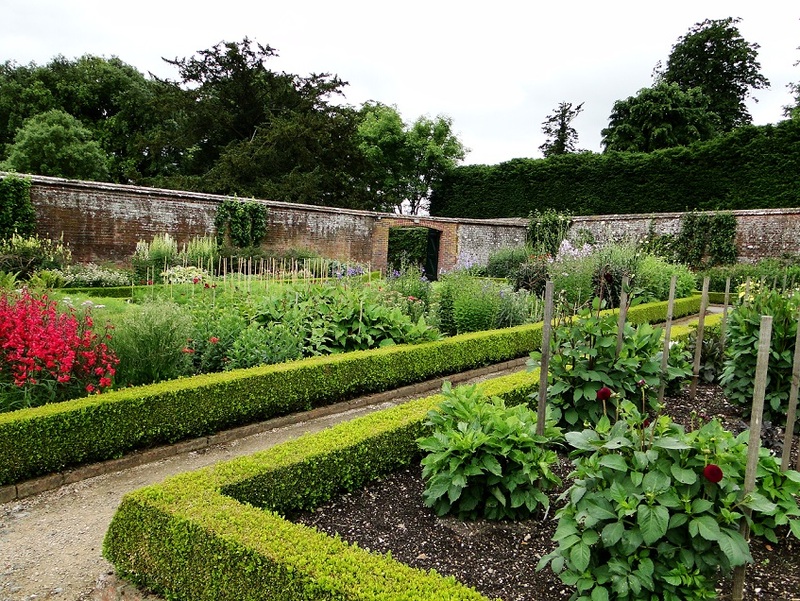 The garden we revisited was Stanton Court. For me it stood out as something special. It’s easy to think that would be no surprise as the house and gardens are currently for sale for the eye-watering price of £11 million. Money doesn’t always equal good taste though, you only have to see some of the items for sale at Chelsea to realise that. The garden could have been quite bling and ‘footballer’s wife’ for that sort of price tag but it was beautiful, and I could quite easily have spent all afternoon wandering around this place. The long driveway led past an imposing manor house, built in the 17th century, and tantalised us as to what was beyond. 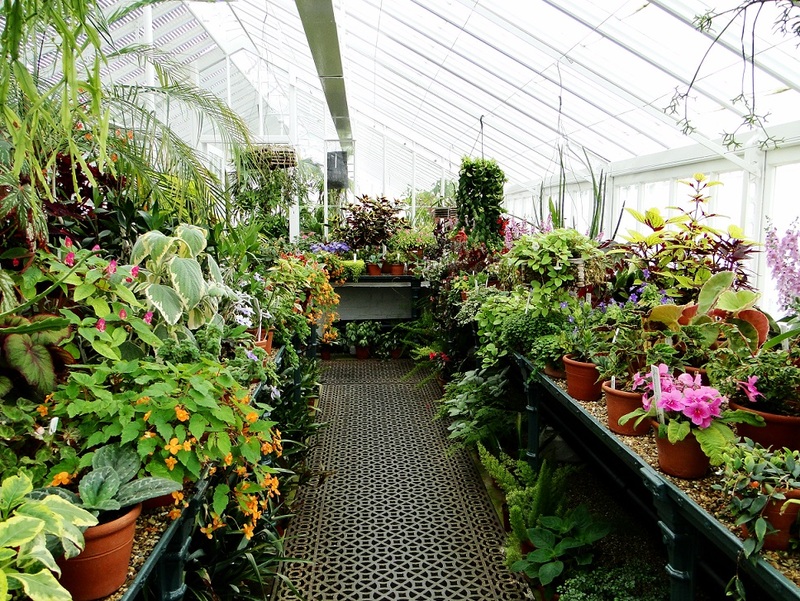 The planting outside the staff quarters was beautiful, there were the greenhouses packed with plants and an interesting collection of cacti and succulents. Is it just me who finds other people’s sheds and greenhouses so interesting? 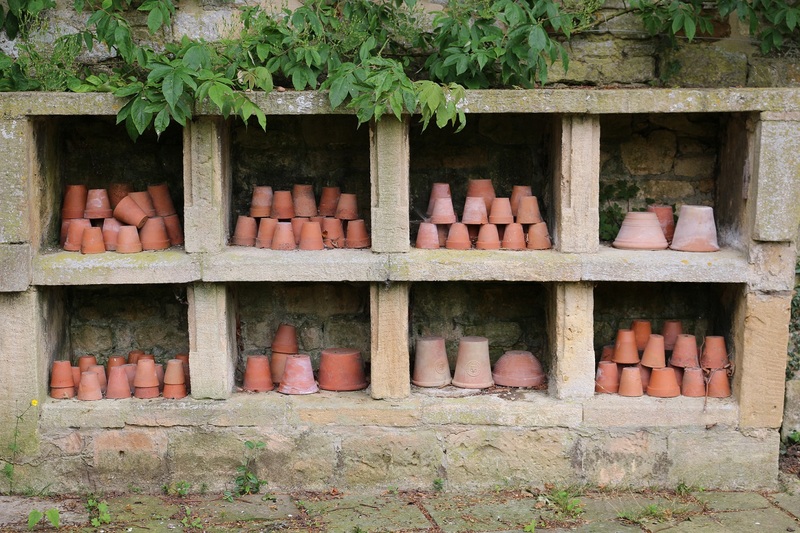 They seem to escape the tidying up frenzy that engulfs a garden which opens to the public and they give a fascinating insight into the gardener, the tools they use, whether they’re organic or not and the plant collections close to their heart. 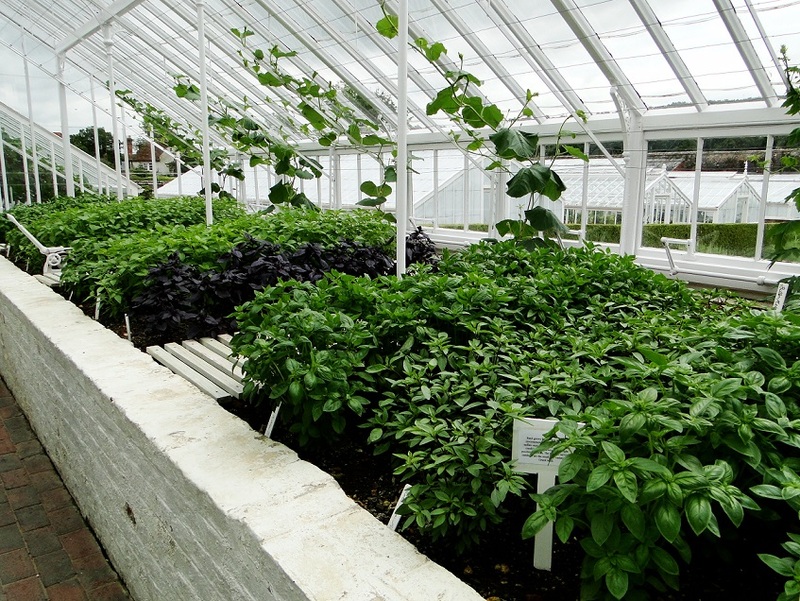 A path from the greenhouses led us to a kitchen garden. 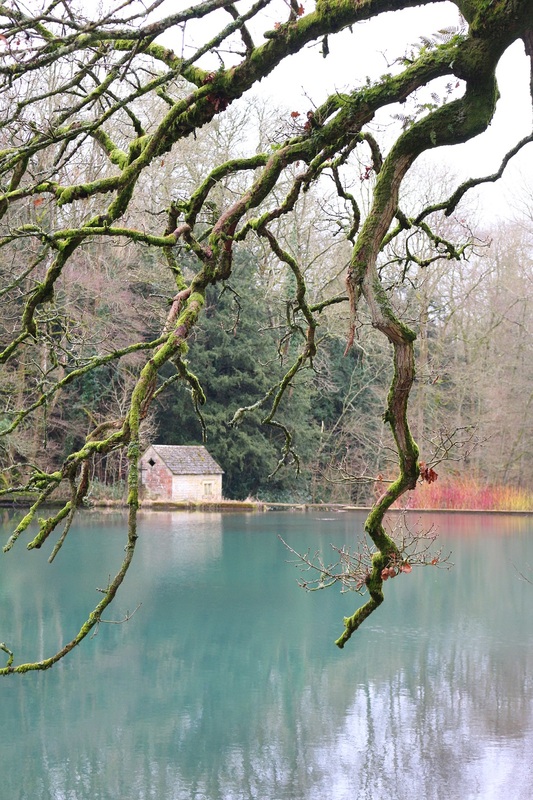 Elements were newly planted but it was easy to see how enchanting this place will be when it’s in full production. 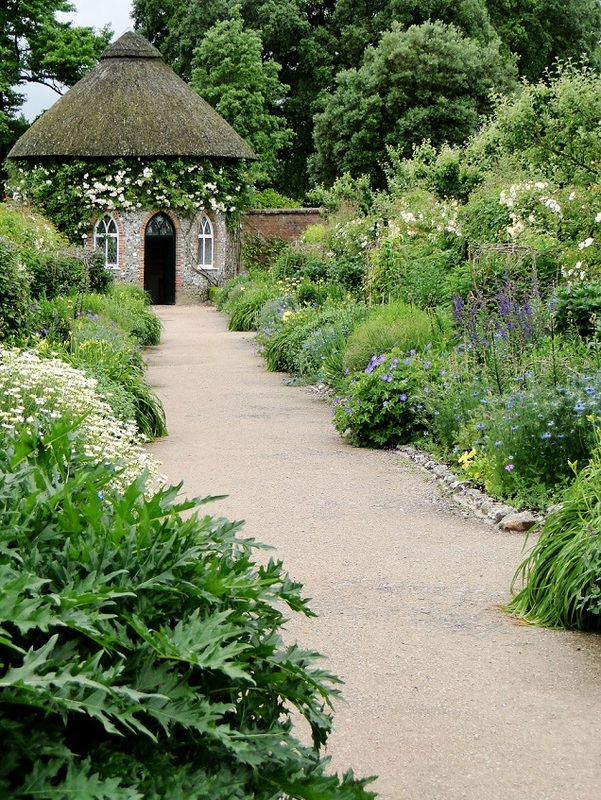 Of course I loved the inclusion of cut flowers to this area and the blackberry trained up and over an arch over one of the paths. 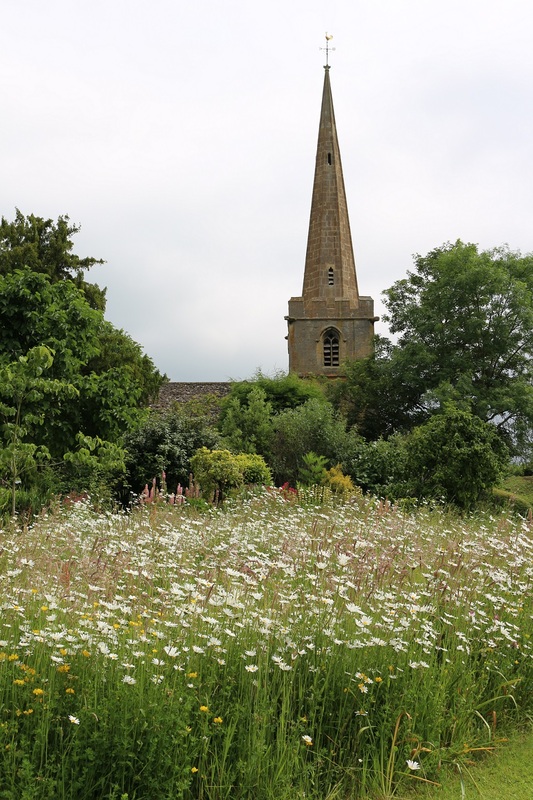 Then there was a glimpse through a wrought iron gate to the most idyllic of views – a meadow of ox-eye daisies with the village church in the background. 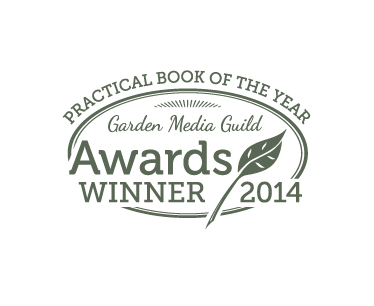 The meadow opened on to an expanse of manicured lawn and a pond and another path led off into a rose garden. I’ve seen a few roses garden over the years and I tend to find they promise so much more than they ever deliver. 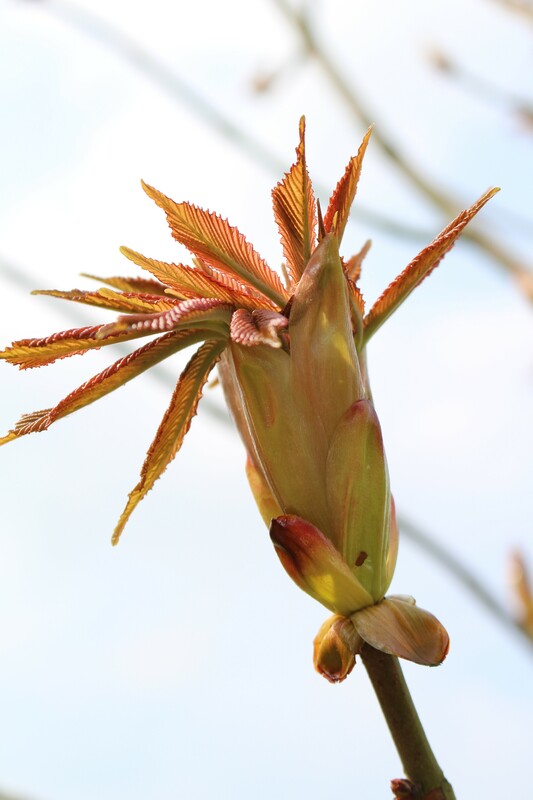 I want blowsy flowers in profusion, heady scents lingering in the air, an overwhelming sense of rosiness. 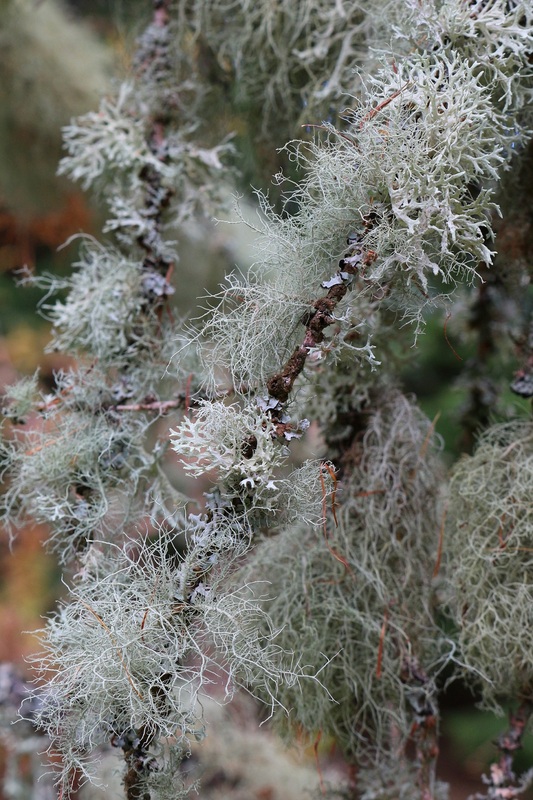 Generally it’s scrawny looking plants clinging on to life and flowers that don’t even smell. Why, why, why would you ever plant a rose that didn’t smell? 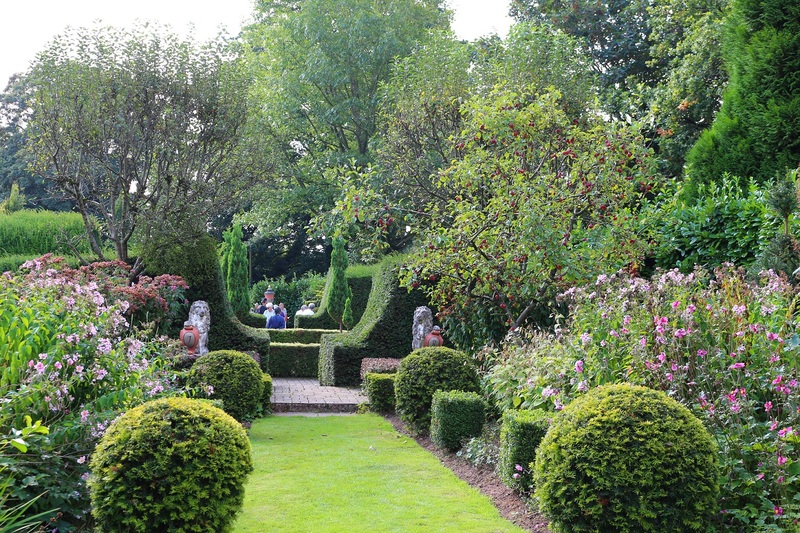 This time though I wasn’t disappointed – Stanton Court’s rose garden was dreamy. 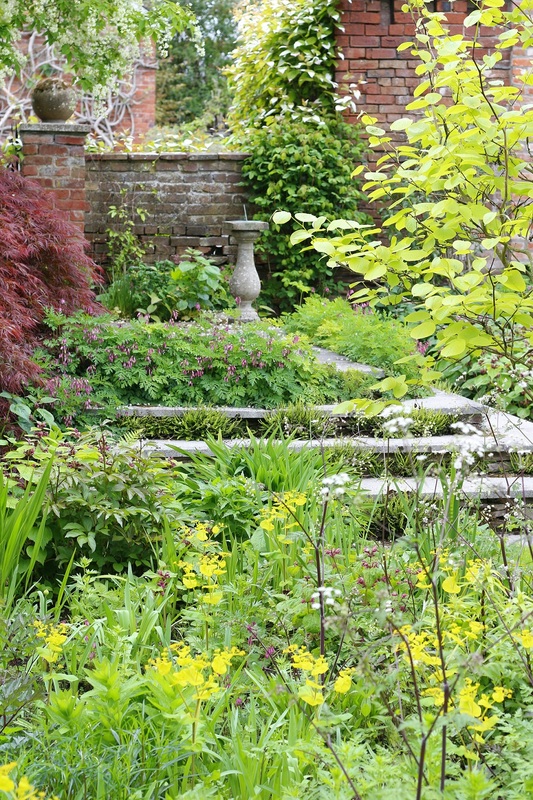 Chelsea gold-medal winner Rupert Golby has been instrumental in creating a garden at Stanton Court which I think sits happily in its surroundings and compliments the buildings. I’m sure it’s not everyone’s cup of tea, perhaps a bit twee or chocolate-boxy for those who would like something more challenging, more cutting edge. For me it was simply a garden where I wanted to spend more time. 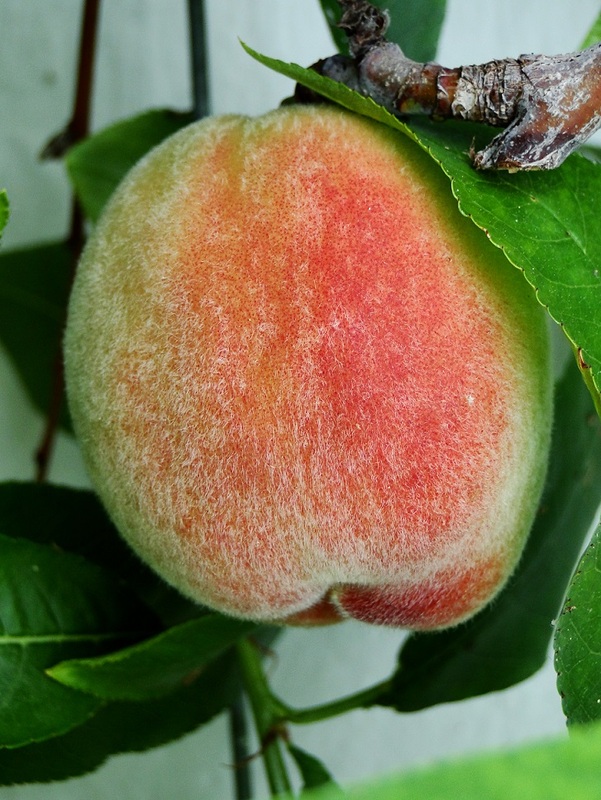 It had all the elements I daydream about when thinking of my perfect garden …. well, apart from a sea view. Of course I’m well aware of the reality of owning such a garden. A space this size, there are 62 acres which come with the house, would require a certain number of staff. For me it would defeat the object of having such an amazing garden if I had to work long hours doing something else to pay staff to do the gardening. 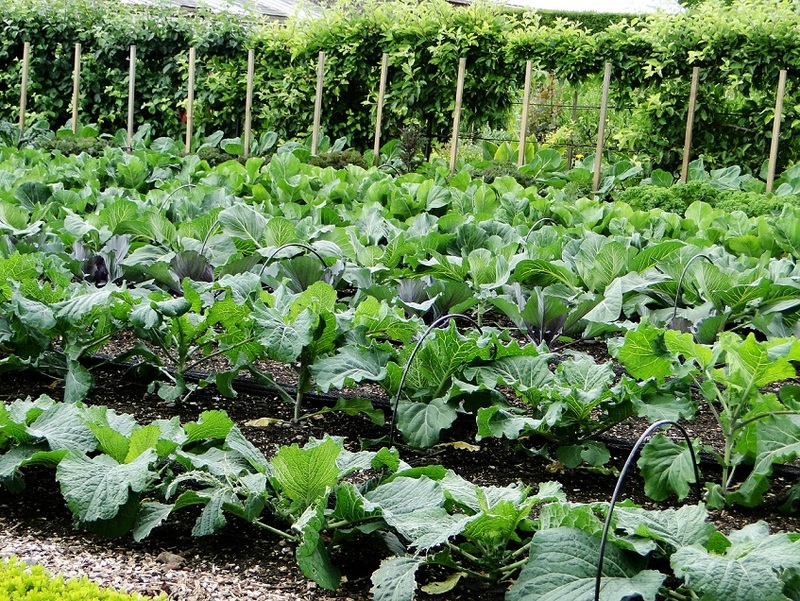 And how much compost and manure would a garden this size need? The mind boggles. That’s the great thing about daydreaming. Much as I loved Stanton Court I’m not so sure I would actually want the responsibility of owning and maintaining somewhere so vast. Of course I wouldn’t say no if someone offered it to me but I was more than happy enough to spend an afternoon there just noseying about. 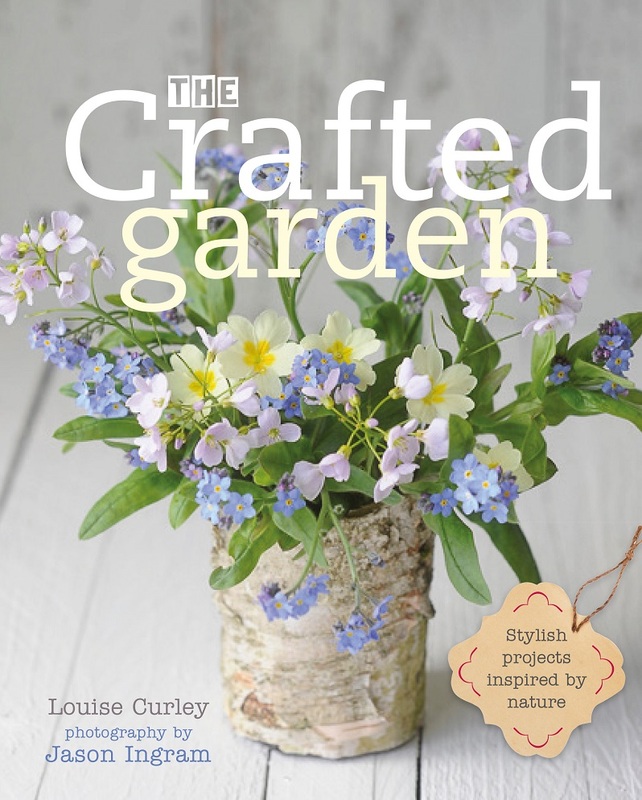 And now I can add a gravel garden to my garden daydreaming.